It's important that Pilate's and Pilotte's respectively were first found in the same place as Messeys/Messier's and Messier's, for the Messey-related Primo's are suspect with Junia Caepio Prima. Bassania, near the Mathis river, can trace to Besancons (Pilate colors, share the Etienne billets), first found at Forez (beside St. Etienne), a mountain system smack at / beside Mont Pilot, where sits a Perdrix mountain like "Perth(shire)." This is another reason as to why Pontius Pilate's mother was indeed a Pict in Perthshire. The story of Pilate's Scottish origins was set out most fully in an article published in the New York Times on 15 January 1899. It seems that between the Romans' first incursion into Britain and their later invasion, Caesar Augustus dispatched envoys to establish diplomatic relations with some of the important British and Caledonian chieftains. These included a Caledonian chieftain called Metellanus, whose stronghold was at the head of Glen Lyon. A member of the Roman delegation to Metellanus's tribe fathered a child with a Caledonian woman, and this child subsequently returned to Rome with his father (and, possibly, his mother), and was brought up as Pontius Pilate. As the Pilate pheon can now be highly suspect, thanks to the Perdrix mountain, in the antlers of the Colts/Celts (Perthshire), I can now share reasons as to why Hulse's and Vise's need to link to lines from Pontius Pilate. "For a long time Mont Pilat designated the main mountain, with the double peaks or crests (crêts) of Perdrix and Oeillon..." I must assume that Perdrix was named after Pilate's mother's home, wherefore Oeillon may have been her name, or something like that. I'm guessing in the dark. The Hulse sun-like object is between the TWO antlers of a stag, and the Celt/Colt pheon is between the antlers of a stag. The Hulse Coat then has three piles arranged differently than most. Instead of all three coming from the top of the Shield, only one does, and it comes down between two piles from the bottom of the Shield, meaning that the two look like two mountain peaks, as though piles were invented to depict Pilate liners at Mont Pilat. Reeds and Rollo's (Perthshire) use the same stag head as Colts/Celts, and Hulse's and Huls', being Hauteville's (this was discovered in the 2nd update of last month), were Rollo-of-Normandy liners. I assume that the Rollo surname is from him. Why should the Normans trace to Pontius Pilate? I'll answer it with a question: why did the Normans become principals in the invasion of Jerusalem? It's known that Hauteville's put forth the Guiscards/WisHarts, who use piles. By what coincidence do Hulse's use the same stag format as Celts/Colts? And why do Pilate's use pheons, of all symbols? Payens/Peans were first found in Dauphine, which is the area around Mount Pilat, and then Hugh de Payens was made the first grand master of Templar Jerusalem. Grand master of what? It's notable that "PerdRIX" has a different ending that "Perth." It was very recent when the Orr's were clinched with an Oricum location of Epirus, and I found reason to trace the Ricks/Rix's to the namers of that place, and then Orrs happen to use pile's. What could Oricum possibly have in common with the Pilate entity? There is a Wellon surname, first found in the same place (Devon) as the Spurrs (share the pierced star with Payens) honored by the "spur rowels" of Payens. The Payen stars are in the Coat of Guerins while Guerin of Provence is said to be the son of William de Gellone. I can't imagine there not being a Gellone Coat in his honor, which is why I trace the only Gellone surname (from houseofnames) to him. The point is, William de Gellone ruled Toulouse, origin of the Caepio treasure, some of which is suspect at Mont Pilat for various good reasons. The year after he stole the gold from Toulouse, Caepio found himself at war in Orange (up the Rhodanus river), and then, rarely, I come across a symbol having an orange tinge, like the griffin in the Rick/Rix Crest. As Nassau's were of Orange-Nassau (and there is even an Orange-branch Masonic cult), it's telling that Nassau's use a Shield filled with gold billets = gold bullion bars, exactly what Caepio found at Toulouse. The Orange surname shows an ORRinge variation. The large hunting horn in the Coat was the symbol of the rulers of Orange. The Orange hunting horn is in the colors of the Gellone Coat. German Bars use nothing but hunting horns, suspect with or Orange-like Orne (because the Horn surname is listed with Orne's), the area of Heimes and Say. There were a couple of compelling reasons (last update) for tracing Heimes to the Haemus mountains (north of Thrace), near OrBELAS, potential origin of Baliols. One of the reasons was the trace of the Touques river (beside the Orne) to the Panusus river in the Odessus area, near the eastern end of the Haemus range. Mythical Odysseus was resolved in the last update as a line from Laish and neighboring Panias, but that was before finding the Panusus at Odessus. It was an important find because the namers of the Ithaca location of Odysseus was being traced already to the Touques and Ticino rivers, and then an AULaei Tichos river was found not far south of Odessus. The Ticino has origin in Switzerland, where the Heimes surname was first found, and where Seatons/Sittens of Heimes are expected to have passed through. It was all-the-more remarkable because Seatons were being identified with Sidicini out of Teano, a term like Thyni, the area at the Aulaei Tichos river. The Sidicini were linked to Avellino, itself traced to Aulon, a term like "Aulaei." Then, the Alans, in Seaton colors, had a settlement to the near-west of Heimes. Let's add that the Lisieux location on the Touques traces well to Lissae between the Orbelus and Haemus ranges. We are now on the Hebros river that can trace logically to Hebrews in the Laish area. Especially due to an ancient Skudra area (thank you Mr. Skeetz for that one) in Thrace, the Lissae and neighboring Bessi are what traced to the south of lake Scodra, at Lissus and Bassania. The latter is expected at Mont Pilate as the Besancons (in Pilate colors), first found at a Forez area (along the border of Puye-de-Dome and Loire) smack beside Mont Pilat. Besancons share billets with Nassau's, and then Italian Naso's (hanks of cotton) are in Pilate colors too. Between the Bessi and Orbelus are the Rhodope mountains while Orange was on the Rhodanus, and then Hanks were first found in Lincolnshire, what earlier had a name like Lindos, a Danaan city on Rhodes. That's why OrBELAS and the RhoDANUS rivers are suspect with Danaans, birthed mythical from BELAS (PELUSius river of northern Egypt, at/beside Tanis). The Danaans were in Laish, I must assume, later named Dan, suggesting that Lissae was named by Laish liners, and then, although I had to resist the trace for years, the Sidonians of Laish are now tracing well to Seatons/Sittens, at Heimes. The trace of these Danaans to Pylos can therefore take place between the Nestus and Mycenae, the latter being where Danaans lived in Greece, but Mycenae is like "Messene," the area around Pylos. I even saw reason once for tracing Danaus' brother (Aegyptus) to Methoni of Messene. 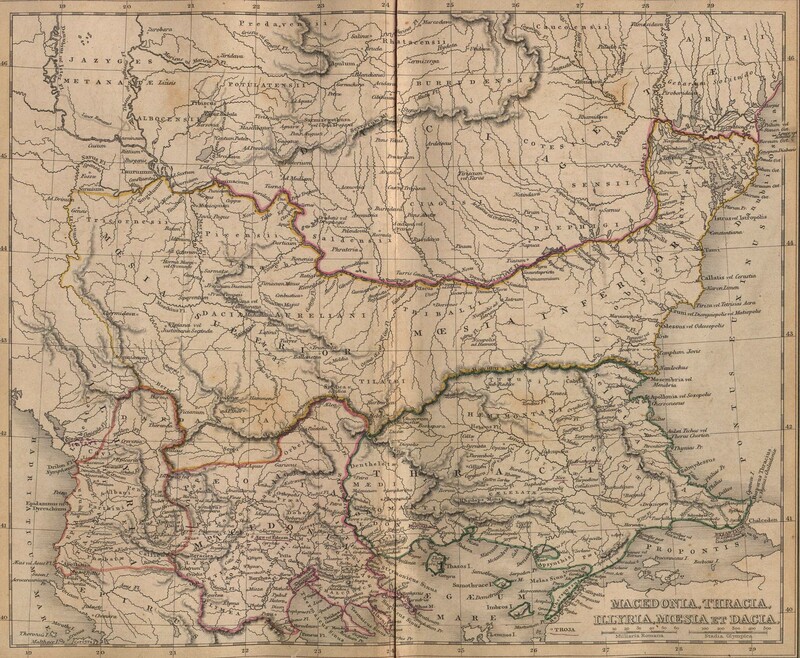 It therefore makes sense that the namers of Rhodope were from Rhodes, and that they settled at Orange as the namers of ORbelus, a branch of the namers of Oricum. The Wellon cross is in the red color of the same-type cross of Eustace's, suspect with Eustace II, father of the first Crusader kings concurrent with de-Payens long stay in Jerusalem. Was de-Payens really protecting pilgrims? Just compare the Wellon and Gellone surnames to one another, and to "Oeillon." It could be that the Gellone entity was named after the Oeillon peak. Willows (fretty Shield), like the Pillow variation of Pilotte's, were first found in the same place (Lincolnshire) as Rowels/Rothwells/Rosswells/Rosewells (Rhodian suspects). Why did Payens honor that latter surname in their pierced Zionist stars? It looks so Illuminatist, with Rhodes' first found in the Lincolnshire too. I wonder whether Gaulonites (of Gamala, Israel) apply at Oeillon. The political situation of Israel allowed Gaulonites to have been Julians. Compare "Gaulon" to "Aulon." Then trace Aulon to mythical Avalon (Rothesay) in order to fuse Gaulonites to the Arthurian cult. The Gamala-like Gamble's even use a fleur-de-LYS in colors reversed from the same of Gellone's. How interesting is that? And we will momentarily see a link between Gellone's and Naso's, adding weight to a trace of Gellone's to Oeillon. Wellons were first found in the same place (Devon) as the Alan>Stewarts, and the latter use "ragully" with their bend. As French Alans share the French-Julian stars, "raGULLY" was reasoned to be part-code for Gullys, who share the cross of English Julians/Gillians, the latter having variations much like those of Gellone's/Gillions. But what are we to say, that "Gellone" was derived from both "Alan" and "Julian"? RAGully is also suspect with a Rag-like entity, which suddenly brings the Ricks/Rex's to mind suspect at "PerdRIX." It just so happens that the PERT surname shares scallops in the colors of the Sodans/Sowdons (shares a red lion with Stewarts), first found in the same place as Wellons (and Stewarts), and very traceable to the Sodhans in the ancestry of Pattersons. The latter are suspect with the Patrician line of Caesar, and trace without doubt to Antipatria, near Aulon, Oricum and Bullis. It therefore strikes me now that the Patterson lion is the same one in the coat of French Pile's/Pilots. The same Irish Pattersons show Cassan-like variations which can go to the Cassius/CASSANo surname (in the colors of the Pert / Sodan scallops), first found in Modena, suspect with Methoni/Modon in Messene. The Cassius fesse is not only in the colors of the Sowdon fesse, but the latter shows stars in the colors of the Julian / Alan stars, as well as using a wavy fesse in colors reversed from the same of Dols (Bisset colors). The whale in the Dol Coat can thus be suspect with Wellon-like Whelans! The latter's Coat is identical to that of Bricks, like the Stewart-beloved Brocks. Bricks were from the CORK area, suspect with "Oricum" and with neighboring ACROCeratae, like the CROCiatonum area of Alauna. That's how we can know that Aulon was of the same stock as Alauna. I trace Bricks with Briquessarts to Brigantium, near Modane. The Bricks / Whelans are in the colors of the Cassius'/Cassano's of Modena. This is very important because my theory that Modena is related to Modi'in of Israel has to do with Cilnius Maecenas (Macca-like) while Bricks and Whelans use the Massey/Macie fleur. Modane is on the Arc river with Chambre, while Chamberlains share scallops in the colors of the same of Wellons. The latter's Crest has the same black lion as Pattersons / Pile's/Pilots. It's the Palin/Pawlin lion too, and the latter was first found in the same place (Dorset) as Chamberlains. The question is whether Chambre was named after Gamala elements, for Maccabees (originated in Modi'in) had ruled Gamala. Chambers/Chambre's were first found in the same place as French Masseys/Massa's, which happens to be in Savoy, location of the Arc river. Both Chamber surnames are apparently using the Masci / Massey fleur. Blue scallops are shared by Wade's/Wide's (colors reversed from Cassius'/Cassano's), possibly a branch of Quade's i.e. from Quadratus. That's the Severus line to which the Bernice motto traces, and the latter share a blue-on-gold fesse with Cassius'/Cassano's. Both Wide surnames are suspect with WATsons sharing the chevron and format of Bernice-related Burns. It seems undeniable that Pattersons trace to Mont-Pilat elements, and it tends to verify that Perts/PETTs trace to Perdrix. The Patterson scallops (colors reversed from the Pert / Sodan scallops) trace to Sicilian liners from Messina. The Patterson scallops are white and in the Chief, as are the scallops of Russells suspect with the Rosswells / Rosewells, and then Scottish Pattersons were first found in ROSS-shire, where Bissets were found who are like variations in the Besancon list. Perts use bullRUSHES, and the bull part can go to Bullis, across a river from Aulon. One Bullis surname (shares red roundels with Orrs) is also "Buliard," like the Billiard variation of Billets (Besancon/Bassett colors) who share pierced Zionists stars with Payens, though in the colors of Billet-like Pilate's. Bullis (Blois colors) were first found in the same place as English Blois', and are said to be from "bullock," which is not likely correct, if they are a Blois branch, aside from being a branch of Bullocks. It looks like Pontius Pilate was a Bullis liner. It is conceivable that pro-Julian liners put both Pontius Pilate and Caiaphas in charge of Israel, as a Design by God to load end-time wrath on the rebellious Julian liners of that time. I don't know whether Alan the Red of Brittany was closely related to the Dol Alans, but he was granted RICHmond to rule, a good reason to trace Ricks and Richmonds to Oricum. And, by the way, Orrs were first found in Renfrewshire, where the English Alans > Stewarts lived after fleeing England. The Richmond surname (Alan colors) uses "bars-gemel", and was first found in the same place (Yorkshire) as Gellone's...which makes this picture look like Gaulonites of Gamala, especially as the Gaulon surname uses the Bruce-of-Yorkshire lion in colors reversed. Having just realized that the Gellone fleur are those of Gamble's, it's important that the Gamble fleur are used by Spanish Petros'/PERES', for that surname can trace to Pharia, where proto-Pharisees are expected, and then Gaulonites are a topic due only to the mention of Josephus (joined the Roman family of Flavius PETRO) of one Sadduc, a Pharisee supporter of Jason the Gaulonite of Gamala. The Gamble's (some Pert colors) use "A crane with a rose in its beak", and Perts use a stork along with a "beaked" term. A crane is used by Cronkite's suspect with the CRONCiaconnum version of Crociatonum. The Alans Huns settled La Mancha of Spain around 400 AD, but as they were also in Manche / Alauna of France, the Petro/Peres surname can relate to it. The flory cross of Petro's/Peres' is in the colors of the Reed saltire, a good reason to trace both surnames to Flavius Petro at Rieti. Josephus may have been hinting that he knew some special things concerning the origin of Sadducees. In the last update, there was some powerful argumentation that included the two Joseph surnames and their link to Bidens. The Rich surname (Richmond colors) was first found in the same place as Josephs and Bidens, and uses a bottony cross (button ends) as code for the Button variation of Bidens. While Rich's use a chevron in colors reversed from the Quint chevron, Ricks/Rix's share the fitchee cross with Quints. The last update also explains why the Josephs link to Gards and Pullens, and so note the "Garde" motto term of Rich's. They are said to have had a Riche location in Lorraine, where Bars lived. Can the use of bars-gemel by Richmonds and others thus suggest that Bars were Gamala liners? You will find that one Foy surname, also in the Rich motto, was first found in the same place as Chappes'. Bars gemel is a term for double bars, usually fesse bars, the only symbol of Nassau-suspect Ness'. As Ness' have a Nest variation, and because I trace Ness-related Washingtons to Methoni (beside Pylos), the Nests are suspect from whatever real entity mythical Nestor, of Pylos, represented. The Nestus river, for example, where we see the ORbelus mountain range. Pylos, of course, is suspect with heraldic piles, and therefore it tends to verify that pile-using Orrs were from the namers of Orbelus, and in the meantime it tends to verify that Nestor was myth code for the Nestus river. The Pile surname not only uses piles, but a canton square, while Cantons use the Washington Coat in colors reversed. French Pile's (Normandy) are also "Pillot." The Dunax location at the source of the Orbelus was traced (starts last update of June) with no doubt to the royal Duncan Scotts (makes them suspect as Danaans), yet the Scott surname was traced, along with some Dunax neighbors, to lake Scodra...location of Bar. In the last update, I neglected to mention that Bars share a giant-white spread eagle with Balance's. The latter were being proposed as kin of Baliols and Foy-suspect Ballys / Baileys to which the Scott write-up traces. Then, after the Ice's/Icke's became suspect with Issa liners (beside Pharia), the Eggs were loaded to find what looks like a version of the Ice/Icke Coat. The Eggs (same place as Masseys) happen to use half the Balance eagle, and on the bottom half of the Shield, the white eagle is in the colors of the Piast Eagle known to be in use in the Lorraine Coat (and in the Arms of Lorraine). I know this because Mieszko II married RICHEZa (like the Richess variation of Richs') of Lorraine (location of Riche and the Bars), wherefore the Egg eagle must be of the white eagle wings of Masci's. But, clearly, the white Bar eagle, known to be the eagle of Este, is the same eagle all around. Issa has become a major topic suspect with lines from the killers of Christ, and here we just found a solid way to trace Maccabee-suspect Masseys/Macie's to potential Issa liners. Este is about ten miles from the ADIGE river while the Eggs/EDGE's are said to be from "ecg = edge," though that is clearly a piece of typical heraldic garbage. The "ecg" code suggests the Icke's. The Adige passes along lake Garda while Rich's use "Garde." The Assi's were found to list an Ise variation, and as the Assi fasces suggests code for the Vesci entity of Fessys/VESSeys, it looks like Fessys are Issa/Ves liners. Fessys are now one of the best methods for tracing Issa liners. I haven't clinched a trace of Oricum elements to the naming of Ricks or Rich's, but for now the theory will stand based on an Orr trace to PerdRIX. Oricum is almost like "Orange," and the Ricks/Rix's use nearly an orange griffin. Oricum is shown (map above) beside Oeillon-like Aulon, an origin of the Alans, whom I now know were in Manche (Alauna) before they got to Brittany. The latter term is suspect from Brattia, on the map beside Issa and Pharia. As Brattia was also called Broc/Brac, it traces smack to the Alans sharing the Brock motto, part code for the Vire river beside Alauna. Scottish historian Neil Hooper, told "The Times" last year that the first public mention of Pontius Pilate's supposed link with the village of Fortingall in Perthshire was an article in the Pall Mall Gazette in 1899. As the story goes, [Donald] Currie, along with a group of his cronies (including Rudyard Kipling and Alfred Tennyson), concocted the elaborate tale after Curry boasted that his new real estate purchase was the birth place of Pontius Pilate. He told them that it was so, because he found a stone with the initials P.P. engraved on it. The story gained traction through popular publications of the era. As a result, 126 years later people still speculate that it might be true. Now why would anyone think of Pontius Pilate merely with the letters, PP? Curry must have known more, and it appears all wrapped up in a Curry trace to Montbrison, smack at Mont Pilat / St. Etienne! This gives you a very firm idea of what really was the truth. Kiplings, by the way, are in Curry colors, and they might even be from KEFALLinia, Odysseus' ancestry. And TENNYsons ("TEMere" motto term) were first found in the same place as TEANs/Tiens/Thames!!! The latter use mascles in colors reversed to the Pert/Pett mascles so that the Teano Sidicini can trace to Mont Pilat too, perfectly expected. Many Forting variations end with "Tein/Tain," and then Teins are listed with Teans/Thames! These symbols probably predate Tennyson and Curry by centuries, meaning that those who claim today that Curry was up to a hoax need to contend with the heraldry I'm pointing out, which is not likely all of what there is to prove a Pilate connection to Perthshire. The Brison symbols link well to the Kilpatricks (near Annandale) and Gospatricks, Patterson branches. French Brisons/Brix'/Brice's (lozenges in colors reversed from those of Bricks) are in Pilate colors, and may have origins in Bruce-related Brixia. It's already been established that Belgian Pratts, like "Brattia," are using the Bruce saltire, known to be from the Annan(dale) saltire, which is itself colors reversed from the Curry / Brison / Gospatrick / Tess/Teck saltire. The latter surname is now tracing hard to Aulaei Tichos i.e. Odysseus elements. Gospatricks are the origin of DunBARs of Lothian, where Currys were first found. Currys are said to have has a Corrie location in Dumfrieshire, location of Annandale and where Kilpatricks were first found. Currys and Patricks are both Patmos liners. The Dunbar location can be traced easily to Dunax by Dunbar ancestry in the Duncans, and their being traced to "barr / top / summit" is typical heraldic garbage = code for Summits, first found in Lorraine, home of Bars. The top code was found and discussed as per the Trait/Turton/Treeton description: "Gold with ten trefoils, with a red square at the top left." The question is: how close were the Danaans of Dunax to the Danaans of Teano? The Dunbars likely named Duns in eastern Lothian, and right beside BERwick. Dunbars thus look like Berenice / Berenicianus liners to Berwickshire. I now recall that Alan Huns lived beside the Tanais river, suspect with Tanis = the Danaans. The Tanais (modern Don) is at Azov, origin of the Sittaceni (and Toreatae), suggesting that Danaan liners named Teano in Campania. In the last update, I found the TEN trefoils of Traits Teano-conspicuous, and Traits ended up tracing to the Toreatae. Aha! Tennis/Dennys/DEANneys use the Curry saltire! The Deans are suspect with "Teano." The Tenny/Denny motto includes "mea messis" while Mea's use a cross in Tenny-saltire colors! That now links the Mea's / Fessys/Face's / Macclesfields to Teano liners. The power of heraldic codes to sort through the many questions / mysteries is very helpful. The tiniest link can unlock the greatest mystery. In the last update, the Sidicini of Teano were traced to Courts from Cortemilia (linked to Trait elements on a Bray river of Normandy) and the neighboring TANaro river, and here I can recall that Deans link to Coverts while the latter share the leopard FACES with Tennis/Dennys, and then another Covert surname is listed with the English Courts. Like the Ice/Icke Coat, the Courts/Coverts use a Shield split horizontally in half, with a black eagle on the top half. The Ice's/Icke's share the SITler trefoil. Adding weight to the theory is the fact that no mention of a link between Fortingall and Pontius Pilate existed until Currie's connection with the village in the late 19th and early 20th centuries. This is despite 16th century Fortingall having its own chronicler, Sir James Macgregor, Dean of Lismore. Similarly, in the 18th and 19th centuries, the accounts of the parish by the Fortingall ministers in the Statistical Account of Scotland are silent on the matter. Neil [Hooper] hasn't let fact stand in the way of good fiction however, and has just finished penning a book which follows the story of Pontius Pilate's birth in Fortingall, as if it were true. The Forting surname was first found in a Vendome area of Loire et Cher. Montbrison / Mont Pilate are at the source of the Loire river in Loire. The Arms of Vendome use a blue upright lion, symbol also of Geals, and then Pontius Pilate's father, as the story goes, visited a ruler at Dun Geal / Fortingall. Moreover, while no Cher surname comes up, the Char(d)s use the partridge, which was the symbol of mythical Perdix, almost "Perdrix." The Chards are said to be from a Cerde entity (of Saxons), and were first found in Somerset, and then the Certe's (a "deer") use books, symbol of Roets of Somerset! Certe's were even first found in Burgundy, location of Mont Pilat. Moreover, Certs/Cards use an upright blue lion in both colors of the Vendome lion. The deer, by the way, is now tracing to the Elaphiti islands because it is said that the name of the islands means "deer" in Greek. As Mallets use a deer, they were traced to Melita, beside the Elaphiti islands, that being an excellent example of how deer can trace to that Illyrian area. The hind is sometimes used in place of a deer, and it just so happens that Hinds use lozenges in the colors of the Brison/Brix lozenges, colors reversed from the Whelan lozenges. Then, the Gelan variation of Geals is like "Oeillon / Whelan / Gellone, what a coincidence. But there is more, for the Arms of Vendome use a red Chief and white Shield, same as Gelan-like Glennys...who were proposed as Gaulonian elements briefly in the last update. I don't know what Puye-de-Dome is named after, but it sure looks connectable to VenDOME. Is that an Edomite term? Elaphiti is an Edom-suspect entity (see two updates ago for details). Dome's/Dummers use a RED heron. "So, I have produced a new Chronicle of the birth of Pontius Pilate in Fortingall, consisting of Marcus Pontius's reports (he wasn't given the surname Pilate until later), of his expedition to meet the chief of the Caledonians. ..."Many accounts have Pilate's father being a Roman legionary, when no Roman army came anywhere near Scotland until years after Pilate's death; and they name Pilate's mother as a Maclaren or a Menzies, clans that were unknown until the late middle ages. Now would be a good time to re-mention the modern Glina tributary (never been treated before) of the Colapis in case it links to Glennys, first found in the same place (Aberdeenshire) as Leslie's,,,Aberdeenshire is also where the Culps/Colps/Cope's were first found who trace well both to "Colapis" and "Kupa." ...the source of the Glina at a CAZIN location. It just so happens that there is a PETRinja location on the Kupa a little downstream from the mouth of the Glina, and then Irish PATTERons have a CASSANE variation...That's impressive because I think Pattersons were from the Roman Patricians to which Caesar belonged. ...In fact, I'm suggesting that Glennys were a branch of Julians. Here's part of the Pert description: "A silver stork beaked and legged red..." It looks like Mengzes-related Glennys link to Mont Pilate elements. But how would anyone know that Mengzes trace to Pilate's mother? Mengzes, first found in the same place as Keaths and Seatons, use the Shield-and-Chief color combination of Keaths. The "vincit" motto term of Keaths is like the Gealvinck variation of Gelans/Geals. Apparently, it's not Mengzes themselves that linked to his mother, but their Glenn / Glenny kin. The Mengzes must have learned the secret from the Glennys. Conspicuous here are the fables around the Da Vinci Code, and then the Vinch/Vince motto is used by Bullocks. The same Shield-and-Chief color combination is used by English Billets and Bellows while French Billets/Billiards are suspect with Bullis/Bulliards, and then Blois (Loir-et-Cher) is just 15 miles from Vendome. Bullis is on the Aous river with ATINTanes while it's the Tints (Rick-like Shield) said to be from Wrexham while Ricks/Rix's are listed also as "Rex." That's another reason to trace Ricks to Oricum. It had been established that the sharing of the blue unicorn between Tints (same place as Ricks) and GALE's (i.e. Glenny- / Gelen-like) traced them both to the naming of Tintagel, birthplace of king Arthur. The Tint lion strikes me as the sleeping lion of Rounds/Rownds, suspect with Roets first found in the same place as Tintagel. Gale's were first found in the same place (Cornwall) as Gline's/Glins/Glynns (salmon spears), and the latter share an ermined-white talbot with Oeillon-like Williams. The Glynn talbot has the ear emphasized in a different color, as do Pettys that may be in the Pett variation of Perts. Bellows come up as "Billow," like the Pillow variation of Pilotte's. The latter are said to be of the Pilotte's of Chantrans...in Burgundy, where Pilate's were first found. Hoopers, by the way, use annulets in the colors of the Annas stars while annulets and Letts are both suspect with the Annas surname. The Hooper stars are even colors reversed from the Annas star. German Hoopers use a giant anchor while Anchors (Pert colors) have an Annas-like Annacker variation. Remember, Mr. Hooper said "around ANKARa. The Anchor lozenges are in the colors of the near-lozenges of Perts. It looks like Mr. Hooper knows something. Plus, the Shield-and-Chief color combination of Anchors is that also of Glennys and Mengzes. It just so happens that I view Annas being installed in the Sanhedrin by Augustus because the two were kin (this explains why I trace Annas' family to Angusta/Augusta), and then the Hoopers share a red-on-white fesse with Augusts. The Rome's/Rooms do too, and they were first found in the same place as Annandale, where Adams were first found who are traceable to Adam Kilconquhar, husband of Marjory Carrick. When I traced both Carricks and Anchors to Agrigento, I failed to see the AnnerCAW variation of Anchors, like the Caw variation of Adams. It wasn't spotted until now because I rarely load the Anchors. Moreover, it just so happens that Anners are listed with Annas'. It was supposedly Augustus who dispatched Pilate's father to see the CALEDonians (like the CELT/Colt surname). We read above that there were people tracing McLarens as well as Mengzes to Pilate's mother. Larens/Clarens/Feeters are a branch of, or at least a merger with, Clare's, interesting enough, because Rollo's were first found in Perthshire, and the Rollo clan badge is the Colt/Celt stag head. Besides, the Claro > Sinclair line has long been suspect from the killers of Christ. This means that Pilate's mother could have been from the Italian Charo's/Claro's sharing a red bull with the Anchor Crest. McLarens use a "Creag" motto term suspect with the Craig ancestry of Carricks. It's interesting that Carrick-suspect Caracalla was in England with his father, the Roman emperor, fighting a war against the Caledonians, around 200 AD. It just so happens that French Larins/Lorrens (Loire elements?) were first found in Provence i.e. place of the Gellone > Guerin line. The white-on-red bull heads (Jewish-Pollock colors) of Pollock-suspect Bullocks may apply to Anchors. Bullocks were first found in the same place a black-martlet Rutherfords, kin of Rodhams that share the Jewish-Pollock bend. As the Rodhams should trace with Rutlands (orle) and Rutherfords (orle) to Rutland of Leicester, the Rodham cinquefoils were pegged as a version of the Arms-of-Leicester cinquefoil, and the latter's is in the colors of the Billet cinquefoils. It is the Bullis'/Bulliards (stars in Annas-star colors) said to be from "bullock," and as Bullis was near Aulon while Pollocks were close to Alans of Dol, it seems that Pollocks can trace to the namers of Bullis, which is Billet-like "Byllis" on the map below. Pollocks share a motto term like that of Forts. Orles are suspect with Orleans / Orell / Aurelius elements, and then Vendome is some 35 miles from Orleans. The latter city was often wrapped up with the affairs of Blois (OrBELUS element?). Orells share red roundels with Orrs, Orleans', and Bullis'. The Forting surname, though said to be from Vendome, was first found in Orleans. Fortings share dragons with English Blois'. Vendome was also Vindicium, which can strike us as Windsor liners, though I wouldn't have mentioned this if not for the trace of Windsors (last update) to Wings/WINKs, who use billets throughout their Shield. What about that GealVINCK variation of Geals? It's the Geal-suspect Fortings that were from Vendome. If Certs (more red roundels) trace to Certissa, note that neighboring Cibalae was also, VINKovci. I recall a myth where Merlin (an Arthurian product in Whelan-like Whale's) was lamenting the bad fate of Caledonians, and it just so happens that Marlins use black martlets i.e. the Glenny and Glenn symbol. Merlin was from southern Wales, at Carmarthen, they say, and then neighboring Glamorgan is where Bassets were first found who are suspect with Besancons/Bassets, first found beside Mont Pilat. Bassets share three wavy fesse bars with Marlins, and use the unicorn-head design of Whale-like Gale's. The "Pro REGE" motto phrase of Bassets, shared by Pattersons (same lion as Middle's/Mittels), can thus be suspect with Wrexham of the Tints. Pattersons trace to the near-north of the Atintanes. The "grege" motto term of Pattersons can be for a Craig liner. The border around the Middle/Mittel Shield is evocative of the Rutherford orle border. The same black lion in the Pile/Pilot Coat is in the Coat of Middle's/MITTELs (Shropshire). Pilate's father is said to have visited the ruler, METELLANus (at Perthshire), and then I trace Mittels to MYTILENE on Lesbos. Metellanus was at FortinGALL while Gale's share a blue-on-white fesse with Middle's/Mittels. The latter's fesse is "counter-embattled," and then I trace Battle's to Battins/Badens, first found in the same place as Gale-related TintaGEL. The Mitanni Hurrians can trace to the namers of Modena through Mytilene, and then the colors of the Mittel fesse are shared by the fesse of Cassius/Cassano's, first found in Modena. We can expect Methoni/Modon and Pylos elements in Modena. Gellone's are said to descend from a Gilling area held by an unidentified count Alan. It sounds like a Brittany product. Were Gellone's (Alan colors) a branch of Alans? No one that I know of traces Alans to Alauna, but French Alans were first found in Normandy, location of Alauna. As Alauna was in Manche, the red Gellone fleur-de-lys could be linked to the white-on-red ones of Masseys (Manche). That can explain why Gellone's traced to the Berbers (i.e. the Barbers / Barbera's). I traced Gellone's to the Awraba/Aures tribe (Numidia), much like "AURelia / Orr." Guerins and Stewarts share a red lion with Aurs/Aures'. I can't recall exactly where the Alans of Spain drifted to, further south, but the expectation is that they merged with king-Massena liners, perhaps even before getting to Manche. In the meantime, they also merged with lines from the royal Cottians / Cotts/Cottins that were traced to "Cotentin" (Manche). Aurelia Cotta had traced with Orrs to Oricum. In this picture, the so-called fretty symbol of Cotta's/Cottins links to Ferte-Mace. It's all logically identifies Gellone's as Alans, or even the Geloni of Herodotus that lived amongst the Budini in the Ukraine. Note that Glenns / Glennys and Alans share martlets with Teans/Thames'. The connecting of Reeds to the Pilate-related stag of Vise's/Vice's and Colts/Celts is important where Reeds share a book with the Arms of Avellino while Aulon was also "Avlona." This is why the Sidicini of the Avellino area are to be lumped together with Aulon liners, expected from the Alan-Hun relationship with the Sittaceni of the Tanais theater. The Alans were from Alania (near Tanais), where there is an Ardon river suspect with the Ardens motto of Perts/Petts. Again, the Pert mascles are colors reversed from the same in the Tean/THAMES chief. Herodotus said that the Amazons of the Thermodon, location of THEMIScyra, evolved through the Azov area into Sarmatians, and historians tell us that Alans were of the Sarmatians. It appears that Tanais was named after THEMIScyra, suspect with the Amazon goddess, ArTEMIS (can be read, ARTemis, as a double code). She was a twin sister of Apollo/Abello, himself expected in "ABELLino/Avellino." Things are making sense, and where Danes had been Danaans, they might just trace to Danaans now expected at Avellino. The Reeds are expected from Rhodes elements, and myth had Danaans founding Lindos before arriving to Mycenae/Argos. One could therefore trace Reeds/Rieds/Reats (Tean/Thames colors) to the unidentified Danaans of Avellino / Campania, and then further north into Rieti/Reate, and then both are expected at Mont Pilat...near the Rhodanus. Note how the Denny/Deany/Tenny Coat looks like a version of the Reed/Reat Coat yet the latter's saltire is that also of Brysons (for a Reed trace to Montbrison). Scottish Reds are traced to the land of IngilBRISTOUN. The "erit" motto term of Dennys/Tennis could be for an Aures line. For a trace of Dennys/Tennis to Aures-based Ayers and Shaws, Dennys/Tennis use "An arm and hand holding five wheat EARS." Moreover, wheat is shared by Wessels suspect as Cottian liners. Ayers use the spur while Spurrs share garbs with Wessels). It's the Shaws who have the Sidicini-suspect Sithech term. Shaws are Sheaves/Shave liners that link to "sheaves of wheat," and then the Barbers use the shave theme, of course, and yet are expected from the Shawia Berbers. It's the English Barbers who share the fleur-de-lys of Gellone's, but until re-loading them now, I had forgotten that these Barbers use the two chevrons of McLarens/Clarens! It's yet another reason to expect Gellone's in with the circle that traced itself to the birth of Pilate. The bull head in the Barber Coat could be that of Says. It's interesting that while the Aurelia Coat has been gleaned as a version of the Coat of Saunier's (expected in a merger with Roets), the Chaulne's variation of Saunier's shows variations such as "Fage/Faux," which prompted a look at fake's just now to find three green-on-white fesse bars, symbol of the Orleans surname. But Fake's are listed with a surname looking like Shakerleys/Shake's/Shocks/Shacks, who likewise use green. If the families knew of their trace to Hercules-branch Danaans, they might use a club, as do Fortins. As the Fortin club is held by the same lion as Ferrers/Ferrari's, Fortingall can trace to Ferrara liners. This lion is in the colors of the Fortin(g) dragons. Italian Fortins/ForteGUERRI's (Alan fesse?) were first found in Ferrara, making the Forting dragons suspect with the Guerra dragon. I trace the Formans and Worms (share the same green dragon) together with Alans to proto-Ferrara (Forum Allieni). Assi's were first found in Sittaceni-suspect Shetland, where the STOUT-surnamed vikings were, and then the half horse in the Italian Fortin Coat (same as the Ferrari-car logo) is used in the Arms of STUTTgart. The Stouts/Stows use barry in the colors of the Oxford barry and in the colors of the Guerra bendy. OxFORDs share a red lion in Chief with Guerins. The namers of Ferrara are suspect from Pharia, beside Issa, while Assi's have an Ise variation. Fords use another martlet, in the gold color of the same of Oxford's Teans/Thames'. Stuttgart is on a Neckar river suspect with the "nec" motto terms of Rodhams and Rutherfords, and while the latter are a branch of Reutlingen location near the Neckar is suspect. Reutlingen is on an Echaz tributary of the Neckar, a term like the Issa-suspect Ice's/Icke's/Ecke's (black eagle, symbol of Reutlingen and that entire area of Baden). It makes "Neckar" suspect with Ecke liners. The Arms of Reutlingen show a small escutcheon split horizontally in half in colors reversed from the Ice/Eche Shield. Instead of using a symbol between the antlers, the Necks place a crown on one of the red antlers, and the red antler was a symbol of the Veringers of Baden. This red stag is in both colors of the Celt/Colt stag. The Veringer antler was traced to the red antler of Spree-NEISSE while Necks (Dutch) could be a branch of Ness (Dutch). Scottish' Ness' come up as Ice-like "Nice." Spree-Neisse is in the part of Lusatia that overlaps Silesia, where Sitlers were from who share the white-on-red trefoil of Ice's/Ecke's, wherefore Sitlers, suspect with Sittaceni, are tracing to the Neckar / Echaz. There is now a question as to whether I correctly traced Ness'/Nests to Nestor of Pylos. If "Ness' is a "Neckar / Ecke liner, I don't think one can trace "Ness" to "Issa" as well as to Nestor elements. But it depends on what named Issa. If it was something like mythical Nike/Nice, then that could trace Issa elements to Nice of Liguria, relevant because Rutland is at Leicester i.e. the Legro river. Nicea was also called, Ancore, and then Fairs/Phares' use the giant anchor. Farrs are the ones using a near copy of the English Reed/Reat Coat so that book-using Scottish Reeds (share the Colts / Neck stag) can trace to Reutlingen. It is a fact (that I read) that the red eagle of Hohenzollerns / Hohenstaufens (Goppingen, Neckar river) was transferred to them from the Zahringer (blue antler) kin of Veringens. As Reeds (Reutlingen colors) use the red eagle, it seems that Reeds do in fact trace to the namers of Reutlingen. As the Reed eagle was traced to the Chill/Child eagle so that Merovingians are suspect with Reeds, note that while Merovingian ancestry was clinched with the namers of Padova (the line to the Batavi beside the Salian Franks), the write-up of Scottish Reeds traces one of their members to PADEVinan. The Padova-MEROVEE alliance, from Bedewe=Merowe now in Sudan, was of mythical king MEROPs of ancient Ethiopia, where there was a mount Nysus/Nisus (like "Nice/Ness") that ancients traced DioNYSUS to, but there was a Merops also in Kos, near Rhodes, which can explain the Merovingian link to Reeds. Aside from any Rieti considerations, Merovingians were traced to Salyes Ligures and therefore, later, to the Salto river passing by Rieti. The AVEZZano area around the Salto is still suspect with the Vis variation of "Issa." But "Vis came later so that proto-Issa was not necessarily a Vis-like term. The Reed write-insists that Reeds were Rufus liners while Rufus' are listed with the Bavarian Rothes using the giant raven, symbol of the Stout vikings from Stuttgart. The Rother variation of Rufus'/Rothes is said to be from Silesia, and I trace that place to Sulcis...of Sardinia, where Avezzano's (red rose, Rhodian potential) were first found. Reutlingen is near Rottenburg. Rottenburgs/Rothenbergs use bends in the colors of the Kos/Kosinski bendy. With Reeds now tracing between Rieti and Reutlingen and Rottenburg, and Mont Pilat, it warrants a remention of the Flavius Petro family as it may trace to the Spanish Petro's/Peres', for the latter use what can be deemed as a version of the English Reed Coat. If Flavians do trace to Blox's (Watson / Rutland liners), then the line of VESpasian is seeming tracing to Rothschilds. But Pollocks>Rothschilds trace to Vespasian by another method. I think that's very important where Rothschilds may be in league with the end-time anti-Christ. Reutlingen prompted a look at the Root surname, which lists "Rouet," and Roots happen to share the oak tree with Roets, Watts, Vatts, Watsons and Rutlands. Watts and Vatts are suspect with the Battins/Badens. The "copia" motto term of Reeds is suspect with "Caepio," and then Pilate-suspect Orrs use a cornuCOPIA. Again, the Colps/Culps are listed with the Cope's/Cups so that all can trace with Quintus Caepio to the Colapis = Kupa river. The cups of Pillows/Pilotte's may apply to the Cup surname. In fact, the cup is used by Stephen-suspect Staufers (Rodhams are using the Stevenson / Pollock bend) while St. Etienne is said to be from "Stephen." Blox's were first found in Stephen-like STAFFORDshire while Staffs use the chevron of Quints. The Colps/Cope's (Copp kin) share the chevron colors of Blox's. Could I invent stronger links than these? The other Stephensons ("COELum" motto term) share the chevron of Colps/Cups and Blox's, and use fleur-de-lys in colors reversed from the Blox-suspect Ploughs/Plows. The Stout surname has a Stewart-suspect Stow variation. Besides, everything you're reading here suggests that Alan liners in Avellino made tracks to the Neckar river. The French Alan Coat even looks like a version of the Roet Coat, and Roets (same place as Ricks/Rix's) are the ones sharing the book with the Arms of Avellino. Roets and Rix's were both first found beside the English Stewarts. I had no idea that Alans named, and lived in, Avellino, until two updates ago. The Books/Boggs were fundamental Boofima > Baphomet liners, to which the Templars gave the goat head as symbol, symbol also of Plough-suspect Bloughs/BLOORs, like the Vlore version of Aulon. The Ploughs/Plows were already traced to Dole's. The Satyr-suspect Satrae are stamped along the Nestus river, and while I haven't clinched a Nestus / Nestor trace to the Neckar, you saw a good reason for making it, but add to this the pelican on a NEST of Scottish Stewarts. The English-Stewart description: "A stag statant proper with a crown around its NECK." Stewarts share the Fer/Ferrat checks, and I think Ferrats should trace to FortinGALL too. And, by the way, Fergus', of GALLoway, are a branch of Fergusons sharing the Ferrari lion. One of the Scottish Stewarts (with crined unicorn) are described like so: "A shield divided quarterly: 1st and 4th, gold with a fesse chequey blue and silver; 2nd and 3rd, silver with a black GALLEY, sails up, OARs in action." The Gallerys are Galloways. As per the Stewart pelican, it can link to pile-using Youngs: "A pelican feeding its young". Art thou eyes being opened? There is a question as to whether piles were brought down from the top of a Shield (as does the Pile surname) for the purpose of combining them with the heraldic Chief, a term suspect with "Caiaphas." Was there something similar between Pilate's family and Caiaphas'? As I'm tracing Caiaphas to Lycaonia, isn't it conspicuous that the Pontus was an area beside that country? I read that the Pontus was considered the sea-side area of interior CAPPadocia. "Hulse" is not exactly like "Hazel," yet the two surnames share the same leaf design. The Eustace's use the same cross design as in the VISE Coat, both crosses between the anters of a stag. This is not knew to me, but it does build the case for Christ-killer lines to Godfrey de Bouillon. The Vice stag head (Hulse colors) is in the design of the Celt/Colt Coat, suggesting that Visconti-like Vise's are WIShart/Guiscard liners. The Ottone-like Vitone variation of Vito's is viewed (by me) as a merger between Ottone Visconti and Vito liners, but I am not sure that Vito's were from "Vis," even though Vito's were first found in TreVISO. There is a question as to whether Vito's/Vitalis' were from Avitus, husband of Julia Bassianus, and whether "Vito" was formed in honor of Vis liners at Treviso, but in any case, Vito liners link hard to Vis-like terms. VITALis' (FIDDLE colors, from VIS-de-Lou) share annulets with Vito's and Ottone's, and the red Vitalis moline is colors reversed from the flory cross of Bouillons. Ottone's are the ones that share a perchevron in the colors of the same of Stephens and Chappes', both suspect at Mont Pilat. Vitalis: "silver CAP between two feathers," and then Feathers/Fedders (Valentinian liners) / Fedders / Fetters can be suspect with the "feeding" of the Stewart pelicans. German Fedders ("A man" with a pointed hat) use a pelican, which hearkens back to the trace of the Alan-Visconti line (pure invention of mine based on gleanings) to Vis-de-Lou. Fedders (Bavaria) may be honoring the Petty kin of Stewarts: "...bearing a black pelican in her piety, also on a green bank." This recalls the Feddercke variation of German Vicks/Ficks (Bavaria). Foot-related Fothes/Fitte's use a cornucopia. There is no doubt about it; Stewarts link to these Vis-suspect elements, and the giant Vick star must be of the same-colors ones of Weis'/Wise's, a root of the Bavarian Illuminati. Valentins were first found in VICenza, but were from the Sava, where Savage's may have derived. The Vicks/Feddercke's use a man with a pointed hat "holding a club" (Fortin symbol). A savage often holds a club, and that savage is a symbol Oswalds said to be a branch of Valentinian-based Ise's/Assi's. The Vicks/VESKs (Fessy/Vessey colors) can trace to the EraVESCi/Eravisci, at Herculia (top-left of map). Thus, another Issa line is suspect at the Eravesci, and they were beside the Hercuniates, likely related to Herculia, but as Hercuniates are in the area of the Boii, they are suspect in naming the Maccabees with Hyrcanus names. This is a good argument because Issa liners are already revealing themselves as forming the Maccabees / priesthoods of Israel in Roman times. French Sauvages use the heart. The two "te" terms of English Savage's may be in honor of Tee's listed with the Annas-suspect Tease's/Tighs (share the fesse of Fortins/ForteGUERRI's and the Vere star). Oswalds may trace to the Osones location between the Hercuniates and Herculia, and "Osones" appears to be in the Dawson write-up while Dawsons share a LODGED stag with Haslips that can trace to the Azali on the north side of the Boii. The Dawson Coat with stag looks like the Pelle(s) Coat while Hercuniates are at lake Pelso, tending to assure a Dawson / Dussel trace to Osones. Dutch Dussens share a red fesse with Savage-suspect Tee's while German Dussens (Baden, same place as Ulm) are listed with Dussel(dorf)s. Pelles' and Dawsons use the same blue canton while Cantons share two white-on-red fesse bars (suspect with Ness') German Ulmans. The lion of English Ulmans is the Savage lion too while the Azali are stamped at Ulmum. It could be tracing Savages to Savaria exactly where the Boii are stamped. If MaccaBAEUS was named after Boii elements, Azali liners are highly suspect with "HASmonean." There is an Ulm location at the mouth of the Neckar while the Stuttgart liners of that river traced to Stout VIKings in Shetlands, where Azali-like Assi's were first found. The Boii were at Bologna in time for Maccabee formation with near-by Placentia elements, and Bologna was the location of the Guido's with GUIS variation, while the Guido-suspect Wide's use the savage too (may be a Savage-honoring line from Herculia). Let's repeat from above: "Both Wide surnames are suspect with WATsons sharing the chevron and format of Bernice-related Burns." The Watsons happen to use footless martlets in black in place of the black Burn horn and stars (share pierced Zionist stars with Guerins). The Wade's/Wide's share scallops around a gold saltire with Petro's, and the "ready" motto term of Burns can go to Rieti > Reed liners. Readys use swans are in Pasi / Sion/Swan colors. The horseshoe-using Ferrari's / Ferrers trace to the Arms of Stuttgart while the other English Ulmans use "a blue border seme silver horseshoes." Seme's are listed with Sions/Swans/Some's who share a heart with Sauvage's. Sions/Swans share the talbot design of Gline's/Glins/Glynns who in-turn share an ermined-white talbot and Williams (William of Gellone comes forcibly to mind). At one time, a rare lion design (I don't see it anymore) was shared between Ulmans, Stewarts and Mauds, but all three have had their design changed to a common one. The Mauds can be suspect with Maccabees of Modi'in because they use bars gemel, and the Glynns above are suspect from Gaulonians of Gamala. The Glynn motto phrase, "Dry weres," suggests the Drys/Dreye's/Dreighs looking like Drews/Dreux's, and the latter's lion is colors reversed from the same-positioned Tool lion, suspect from Toulouse, yet another reason to trace Williams and Glynns both to William Gellone. As Herons are listed with Horns, it's very notable that the Dreye/Dreigh herons are in the midst of a chevron looking like a combination of the horn-using Burns and horn-using Bernice's. If Orne was an Orange line, it's notable that Draguignan in Provence is not far from Orange. The "Ever ready" motto of Burns is likely for the Evers/Eure's, relevant where Dreux is in Eure. The Evers/Eure's use a buried "VISCar" motto term. English Evers/Hevers are interesting for using Herod/Herault colors, for the Gellone monastery was in the Herault theater. The Reed link to Evers/Eure's makes the latter's gold boar head suspect with the same of Roets. The "salmon spears" of Glynns can trace to the spears of Pasi's, first found with Guido's in Bologna, and if correct to trace Pasi's to the naming of Vespasia Polla, let's repeat that she married the line of Flavius Petro while Petro's use the GAMBLE fleur. Or, let's repeat that Guido Guerra III married MontFERRAT, and is suspect from Guerin of Provence, son (some say) of William Gellone. If the William surname is from William Gellone, then the salmon spears (code for Salemans / Salmons?) are expected as per the Salyes Ligures in the Provence theater. The Williams happen to share gyronny with Titus'. Williams were first found in the same Welsh area as Clements, who are now tracing to Clamberae on the Talbot-suspect Telavius river. The source of the Telavius is near Burnum on the Titius river, what a titusincidence. Burnum was found with near-certainty to be an origin or location of the Burns and Bernice's (the latter share the fesse of Dussels/Dussens), a branch of Hazels. Clements were linked to the Red-Skelton code, Clem KadiddleHOPPER), and therefore to the Hoppers that share the same-colored gyronny of Williams. The ancestry of Williams is said to be at a Langhe-like location (Llangibby) of Wales while Langhe is at Montferrat, and then the rulers of Montferrat, including the father (William V) of the daughter that married Guido Guerra, were named William (i.e. potentially related to the line of William Gellone). Llangibby is in Monmouthshire while Monmouths share the lion and gemel of Mauds. Both lions are red, the color of the Guerin lion. Guarens/Warrens share a chequey Shield with Fers/Ferrats. German Ducks/Duckers (Dexaroi?) were traced to the Dussels, but then Irish Ducks are listed with Loges-suspect Logens with the Proctor nails, making Duckers suspect from the Dexaroi that got involved with the Tilurius line to Proculus' mother, QuadraTILLa. But there is good reason for her trace with Tillys to Toulouse, making the namers of Toulouse suspect with the namers of the Tilurius. English Duckers/Dockers (seven spears) were first found in the same place as Bernice's and Burns. English Ducks (FALCon) were first found in the same place (Norfolk) as Fulke's/Folks...and the Burn- / Bernice-suspect Drys/Dreye's. You saw above a potential trace of peoples in the Burnum / Titius area to Dussels suspect with the Azali, and the latter happen to be beside Savaria while Bernice's use the motto, "PerSEVERanti." It's a dead give-away once there is a Burnum trace to the Azali, and once one knows that Dussels share the Hazel / Bernice fesse. The historians who try to figure out what people and place names derive in really need to know heraldry, and to stop looking to topography. Titus' were first found in HERTfordshire, right beside the Clement / William theater, and right where HERODs are suspect. Berenice Agrippa was a Herod. By the way, Herons are a branch of Orne's, and the Heimes area of Orne can link to Home's/Hume's (Berwickshire) using a "True" motto term while Trews/True's can be a branch of heron-using Drys/Dreye's. That works. Hertfords share the stag head with Hulse's. Now that Hulse's (= Hauteville's) have traced to Halls and Hulls (talbots), all of them can be linked with Guiscards/WisHARTS to the Telavius / Tilurius rivers. As Guiscards are apparently of the Guis variation of Guido's, it's notable that Tillys and Guerra's share the wyvern dragon. Tillers use annulets in colors reversed from the same of Guido-possible Vito's, the latter now tracing to Hulse liners out of Mont Pilat (Hulse's are the ones with piles and an object between the antlers signifying fundamental Pilat liners). Guiscards were first found in Sterling, beside Perthshire, making Guis liners traceable to Perdrix, one of the two mountain peaks suspect in the double peak-like piles of Hulse's. Guiscards must have had some Caepio treasure, which can explain their Italian fortunes. They may have left Manche in order to spend their gold / silver bars. Remaining in Manche and spending it there would have made the rest of the family, and the locals, suspicious. "Where'd you get all the money?" Previously, the Caepio treasure was traced to Masseys of Cheshire, where Hulse's were first found, and besides, Hauteville is in Manche, where Masseys originated. The Hulse stag is red, traceable to the red antler of Veringers, in Baden, where Dussels were first found. As Veringers are suspect with Varangian vikings, the Stout vikings (from Stuttgart i.e. in Baden) were likely of the Veringers. The Hertford stag head is gold on red, or red in colors reversed. Guiscards were Rollo liners while Rollo badge uses the Colt/Celt stag head, which is in red. Hulse's are said to have acquired Mobberley in Cheshire. Mobberleys/MODburleys/Mopps' are using the double Ness/Nest bars, or the Ulman bars in colors reversed, and therefore look linkable to MAUDS and Monmouths. The Mobberly Crest has a "demi lady" holding a "pair of scales" and a sword, two symbols of the Shetland Assi's suspect earlier with Azali liners. The idea just came to mind that double chevrons may exclusively be code for the twin peaks of Pilat. The Dexter chevrons were the first to come to mind, followed by the Perche chevrons. I couldn't recall who, aside from the Scottish Walsh's (annulets), use a "perched" bird. It just so happens that the English-Walsh chevron is in the colors of the Perche chevron, and surrounded by pheons (Pilate symbol)! Plus, to my great surprise, after struggling to remember who uses a motto term like the "Transfixed" of the Walsh's, it was remember that the Celts/Colts use "Transfigam" (!!!) as the entire motto. The Fix's/Ficks/Vicka's are suspect as yet another Issa/Vis line, and zowie that was said before seeing the Fix Coat, a Shield split horizontally, with a black spread eagle on top, same as the Ice/Icke Coat! How else does "Ice" become "Fick" unless they are both from Issa/Vis? I never get the impression that terms starting with a vowel are apt to being of capital-F terms. Fix's are traced to Ficko de WESera (Luneburg). Wisers/Weisers/Wischmanns were first found in Westphalia, location of Dusseldorf. Ice's were first found in Rostock, home of Wagrians (Warnow river) to which I traced Walsh-suspect Walkers and Wagers. The Warnow was the river of the Varni/Warni suspect with Guarens/Warrens / Guerins / Guerra's. Austrian Wisers have another Shield split horizontally in half, as do SchWERINs, from Schwerin near the source of the Warnow. Luneburg is not far off, and is suspect with the pelican-using Langs, first found in Luneburg. The Ice/Icke Shield became suspect with the split Shield in the Arms of Reutlingen, in Baden i.e. the VERINger theater. Guerin-suspect Payens traced to the Billet/Billiard Coat because the Besancons and Etienne's use billets while Payens were first found in Dauphine, an area that covers Mont Pilat. If Billets/Billiards are purely from Pontius Pilate, then a number of Bill terms can apply to his descendants. Hugh de Payens married a Chappes suspect with the Caepio-treasure line. Billets are silver bars suspect with that treasure, and the Eustace trace above to Mont Pilat tends to assure that Bouillons (silver bars crossed) were named after silver bullion. I learned that Payens are also "Pean" when checking out the "chevron pean" of Hamons, who have this Crest: "A falcon rising proper with a gold mullet on each wing, between the attires of a stag"! The attires (suspect with Alexanders of KinTYRE) refer to the antlers! As Hamons are thus suspect (directly or by kin) from Mont Pilat, let's go to their "discRIMINa" motto term, suspect with Rimini, where Maschi's were first found who share the lion of Voirs/Voyers (share "tout" with Rollo's), and suspect with Boyers from "Boiorix," the one who defeated Quintus Caepio and, I suspect, took some of his treasure, at Orange. The "attires" are suspect with the "terras" motto term of Alexanders (chevron in Hamon-chevron colors), and Scottish Terras' (Stacey/Eustace stag!) use the Coat of Scotts (descended from Chilham's Alexander, brother of Balliol) who in-turn use a motto, "Amo," making it suspect as code for Hamons. As per the AmBIORIX topic below, it should be mentioned here that the Scott border looks like the red orle border of Rutherfords because both were first found in Roxburghshire. But why don't Scotts call their border an orle? This orle traces to Caesar's mother, and Ambiorix had a war against Caesar's uncle with Cotta surname. The Scotts and Terras' both use the same star as French Julians. German Hulse's/Huls/Hilse's were first found in Westphalia, same as Dussels, expected because Hulse's are using the Hazel leaf. This clue is important, especially as Guiscards share the pile with English Hulse's, In the 2nd update of July, the Hulse's were found to be Guiscard kin thanks to a Hauteville-family article, where it has Guiscards descending from a Hiallt character. It was then found that the Hauteville ancestry of Guiscards took on the surnames of HALSville and Hauville. I am now prepared to trace "Wishart/GUISCard" to "EraVISCi," not only due to similarity, but because of the unexpected pulley one sees painted into this portrait of the Guiscard brothers. It reveals that all sorts of paintings are laced with clues for kin of the main subject. Pulleys have a motto term suggesting the Pelle's/Pelles' traceable to lake Pelso, beside the Eravisci, and then the Azali were not far off, but it is the Osones location, right beside the Eravisci, that's suspect with the Dussen variation of Dussens. It's feasible that "Huls" was from Ulmum, beside the Azali. Likewise beside the Azali is SCARbantia, and then the Pulley motto term is "pelleSCERE. The way to have these Pannonian elements link to the Chappes' is by the trace of the Pulley motto to the Colapis = Kupa river. The mouth of the Colapis is at the Breuci peoples while Caepio-bases Bruce's were first found in the same place as Pulleys and Hulls. It's important that Ottone's are using the long perchevron in the colors of the same of French Chappes', for Scottish Chappes' were first found in the same place as Guiscards, and that place is not far from Aberdeenshire, where Colps/Cope's were first found who use a chevron in colors reversed. This set of "coincidences" can now speak to an Eravisci link to the namers of the Kupa so that Guiscards and Visconti's can be discovered as basic Caepio liners from way back in BC times. French Chappes' were first found in Paris while Ottone's were first found in Perusia while Crispins, who trace to Crispiana, beside Osones, were from Parez. If these terms trace to Pharia, then it jibes with an EraVESci trace to neighboring "Ves." And as it's known that Pharisees derived from Hasmonean circles, by what coincidence were the Hyrcanus-like Hercuniates at lake Pelso? The first Hyrcanus Maccabee was near the time of the first-known Hasmonean. Hyrcanus was descended from Simon Maccabee. It just so happens that one Simon surname shares the red fox with Heims while Heyme's were first found in Westphalia! That's where Wisers/Weisers/WISCHmanns were first found too. The Heyme's use a giant star (a mullet) half in the colors of the giant Annas star. The Heyne variation may indicate that the surname started out as "Annas," so that Heimes in the Orne part of Normandy might actually have been an Annas line. It was common for some peoples to make an 'r' switch to 'l' so that WestPHALIA" may have been from "Pharia." That would explain Issa liners in Westphalia. To the west of the Azali, an ANISus river that can link to the Annis/Annas surname. The Anisus is the location of STIRiate, possibly of the Stirling line. If Guiscards (i.e. of Stirling) were Eravisci, it's notable that the Fessy cross is colors reversed from the similar Annan saltire. There is a Mill-of-Colp location in Aberdeenshire, the best I could find for the Colp location in the Colp/Cope write-up. Here is one piece of data: " Mill of Colp, Turriff, Aberdeenshire AB53, UK." "Turriff" is much like the Tarves location in Aberdeenshire, where Cavii-suspect Chives' are said to have lived. It turns out that Turriff is beside Tarves. Both are in the Formartine area. Might the name. Torf, have been from Turriff elements? There is no Turrif / Turf / Turrif / Torf surname coming up. Sheriff (share red rose with Colps/Cope's) are in Tarves colors, and use a fesse suspect with the Hazel / Dussel fesse, and Shere liners are now suspect from Scarbantia, in the land of the Azali. The black fitchee of Tarves' is shared by Hanna's and Shere's. The latter use their fitchees in the colors of the Saracen crescents. Compare the "Esse" motto term of Sheriffs to the Essira location of Shere's. The Shere's share the dancette with OpenHEIMS. The "VIDERi" motto term of Sheriffs can be for Wiser/Weiser / Guiscard/WISEHEARt elements, and that makes "Essira" suspect with "Weiser." Wide's/Wade's use the fleur-de-lys in colors reversed from the same of Sheriffs. Shere's and related Carricks share the talbot with Halls and Hulls. If "Turriff" was a Sheriff variation so that Turriff's namers were from Scarbantia, then "Scarf" may apply. Scarfs were first found in the same place (Yorkshire) as Hulls. The Shire variation of Shere's may be of the "deSIRE" motto term of Guiscards. I've only just realized that the Hilton castle of the Wide's/Wade's links to "Hialt," for the Hiltons (Hanna colors) share the man's head (sometimes a Saracen's head) of Hazeltons! We have thus found that Hiltons are Hauteville liners. You can glean the nastiness of heraldic writers when they trace Hazeltons to "hazel valley" rather than to the Hazel surname. It's human trash at its best. It doesn't want us to start linking surnames using heraldic codes, and therefore takes precautions by tracing surnames erroneously to fine-sounding items. Be wise to Masonic disinformation programs. Hazeltons (colors reversed from the Home's) use "homes" in its motto translation. The Home's honor the True's/Trows, and then the Trowtons/TROUGHtons can be Turriff elements because they were first found in Buckinghamshire while Turriff is in the Buchan area. The Trowtons look like the Turtons/Treetons/Traits (Yorkshire) that were discovered in the last update's "trait" symbol in the Arms of Mesnieres-en-BRAY!!! Those exclamation marks are for the Turriff article's mention of: "The Knights Templar appear to have had a base in the area, and a nearby site is still known as 'Temple Brae'." The Bray river (where Mesnieres is located) flows to Dieppe, where the Dussen-suspect Dawsons are said to have lived! It just so happens that the Mens/Mengzes' are traced in their write-up to "Robert de Manieres, a Norman from Mesnieres, near Rouen...he was first granted land at Kent and Surrey..." Shere's were first found in Shere-like Surrey. The "I zal" motto phrase of Mens/Mengzes has long been suspect with ISLIPs/Haslips, the ones who share the "lodged" stag with Dawsons. Hazels use "hazel SLIPs," wherefore we seem to have Mens/Mengzes kin tracing to the Azali / Scarbantia theater. Mens/Mengzes are the kin of Glennys sharing black martlets with Pulleys, and this suddenly makes ForMARTINE suspect with these martlets (not often called martins, but Martins were a branch of Martels). The Gline's/Glynns (share white talbot with Halls and Hulls) are the ones suspect from the Glina location...of the Colapis (! ), where the Pulley motto traces!!! The family chief of the Glenns is said to be "COLBan (!!! ), and Glennys were first found in the same place (Aberdeenshire) as Mill of Colp. The trace to the Colapis is undeniable. I've just noticed that Glennys are from BRAEmar!!! That puts them in the Temple-Brae entity of Turriff, I assume. And while Hauteville's were Tancreds and Tankerville's from TANERdevilla, Bra is in the Tanaro theater. The Men's/Mengzes are suspect in the use of man's heads. Why is the Hilton-Crest man head called, "Moses' head in profile"??? Are we stupid? What fable did the Hilton family invent for the use of Moses' head? Isn't it likely code for the Moses/Moesen surname (share's the red rose with Colps/Cope's), a branch of Moesians that lived at Cuppae ("city of doves")...because there is a dove in the Moses Crest? And there you have the Cuppae trace to the Colapis = Kupa river just because Moses' have just linked to the Colp/Cope line. Both the Moses' and the Irish Martins use a "calvary" term in their descriptions. Hazeltons call their Moses' head a "Scotts head," which can trace with Scotts to lake Scodra and the Cavii of that area. But why is the Moses head in "proFILE"? The File's are listed with Vile's/Veals (Velis suspects) using a bend-with-symbols in the colors of the same of Salmons while Gline's/Glynns use "salmon spears." The Viell variation of File's suggests the Vielles surname (ancestry of Robert Beaumont of Leicester) of the Torcy/Torville location of Harcourts, and that was a topic in the very last update with TORF of Torville! Robert Beaumont was replaced by Simon de Montfort while there is a Monforte location smack beside Bra! Therefore, Harcourts are tracing to Temple Brae at Turriff. In the last update, Mesnieres-en-Bray gave the impression of linking with Courts to Cortemilia, near the Tanaro, and here we find the HarCOURTs linking to Bray elements. While Mengzes are said to be a branch of Manners, Harcourts share the Manner/Maness peacock. Moreover, Harcourts share double fesse bars with Hiltons (Hauteville liners), Ulmans, Martins and Flecks, the latter suspect from Flexum smack on the river that was home to the Azali, and on the river where Ulmum is located. Harcourts use "bon" in their motto, while Flexum is beside ArraBONA. The Ulman bars are ion the colors of the Crispin bars while Arrabona is beside Crispiana. With Harcourts thus linking to Hauteville's, its feasible that HARCourts/Harkers were from HERCulia, in the land of Guiscard-suspect Eravisci, but later developed a Harcourt variation when merging with Court / Curtis liners. The "temps" motto term of Harcourts must be for a branch of Teans/Thames (same place as Harcourts). For example, the Temple's (Cole colors), first found in the same place as Hulse's, share the black martlet with Glenns, Glennys and Pulleys. To trace the Colapis peoples around Glina to the Pannonia theater, just trace the salmon spears of Gline's/Glynns to the Pasi spears, noting that Pasi's were first found in Bononia, named by the Boii of Arrabona. With Turriff (also called "Turra") situated at the Tarves theater of Chives', the latter from Chivasso at bull-depicted Turin, it's conspicuous that Turriff uses a bull symbol, said to be a symbol of "Turra Coo". "The Turra Coo (Doric for "the Turriff Cow") was a white Ayrshire-Shorthorn cross dairy cow which lived near the Aberdeenshire town of Turriff in north-east Scotland in the early twentieth century." But I'm seeing code at work, for the Cowes surname is also "Coo." Let's not be ninnies; we are now up to speed. We can assume the Cowes' to be a branch of, or merger with, Chives'. Did you notice that Cowes' use piles in Guiscard-pile colors? Cowes' share the black Julian cross with Velis'. Turriff and Tarves are in the same area as CUMINEStown and Potterton, and then Potters were first found in the same place as Josephs that share the Comines/Comyn garbs. This reminds of the Comyn family (motto suspect with Corricks/Carricks) of the mother of Adam Kilconquhar, husband of Marjory Carrick. One can now trace the Pawter variation of Porters (Potter colors) to Potterton. "Cuminestown is a village in the Formartine area of Aberdeenshire, approximately six miles east of Turriff. The village is the main center of the parish of Monquhitter..." Aside from the possible relationship between Quhitters and Quhars, it needs to be said that Chivasso is under 100 miles from Como, where I traced Kilconquhar's mother. Between Como and Chivasso were the Insubres. I've been arguing that Presleys/Priestlys and Prestwicks were kin of Carricks / Kerricks, and can now elaborate as per this: "Tolquhon Castle...lies about 1.5 miles (2.4 km) north-west of Pitmedden, and 2 miles (3.2 km) south of Tarves. The castle was built by William Forbes, 7th Laird of Tolquhon, between 1584 and 1589 as an extension to the earlier tower house known as Preston's Tower...Preston's Tower was constructed in the early 15th century, either by Sir Henry Preston or by his son-in-law Sir John Forbes...Tolquhon was designed for show rather than defence, and was the work of the mason-architect Thomas Leper..." Of some interest is that Lapps/Leaps share the giant Melusine with Prestwicks, but Lepers are a branch of Pollocks while Peter Pollock built Rothes castle at Rothes, near Tarves. It could appear as though some Pollocks were castle masons. Forbes' are suspect in the "forbear" motto term of Sarah's/SAYers/Saire's (share bendlets with Lepers), perhaps another Carrick-related Shere liner. The Sarah/Sayer cinquefoils are almost the Potter cinquefoils, and are on a bend that reflects the File/Vile and Velis bends. Sarahs/Sayers were first found in the same place as Vere's/Devere's while Turriff is on a Deveron river that can apply, especially as the Vere star is also the Annas star. The Sarah/Sayer bendlets are in the black color of the same of Ince's and Inch's (Perthshire), and there happens to be an Insch location smack beside Tarves. Put that together with the leopard shared by both the Sarah/Sayer Crest and the Chives Crest, and it trace's Sayers to Chivasso liners, a good reason to trace Insubres to Insch. As Say is in HEIMes, note that OpenHEIMs share the Zionist star in colors reversed from to the same of Innis' (Moray, near Tarves). The other Openheims share a dancette with Carricks. This makes the black perchevron of Openheims suspect with the black Kerrick pile. The green snake of Innis was traced to the Visconti's at a time when I was not familiar with Insubres. The original Visconti snake was green (they changed it to blue). The first Visconti ruled Milan i.e. the city of Insubres. As these things don't seem coincidental, Visconti > Guiscard liners can thus be expected at Tarves, and then the Conte's had been suspect with the Conteville's, ruler of Comyns and Comines locations! Bingo. That traces VisCONTI's to Cuminestown elements. There is a Huntly location some 20 miles south-west of Turriff, and near Tarves / Insch, and it just so happens that the Huntly surname (Hunting horns) shares the black-on-white stag head of Vise's!!! Yes, sir. I'd guess that Huntlys are using the colors and format of Buchans, and then Buchanans (share the black Buchan lion) are in the write-up of Scottish Milans/Millens, very traceable to Milan of Italy under these circumstances. It's completely clinched that Visconti's trace to the Huntly / Tarves area (Cuminestown is very near the Buchan shore). Depending on the timing of the Visconti entry into Scotland, this is how Guiscards may have formed. Hants/Hands, whom I see as a branch of Hanna's, use the stag too, and that's how the Hanna fitchee can trace to the Tarves fitchee, i.e. if Hants/Hands are a branch of Huntlys. I think I'm convinced, and it all centers around the question of whether Chives' were Caiaphas liners. If the Ottone's can be clinched with Ottone Visconti (first Visconti ruler of Milan), it traces Visconti's to Chappes'. Hants, they say, is an alternative name for southern Hampshire, but that's where Cowes is located, and Hampshire is where Josephs were first found that use a "charo" motto term suspect with Chieri on the south of Turin i.e. near Chivasso. The Hant stag is nearly in the position of the Eustace stag, and the latter is the one that shares a symbol between the antlers with Hulse's (same place as Hants). But the Eustace stag has the black cross found also between the antlers of the Vise stag. As hunting horns must be fundamental Orne elements, and with Say of Orne now tracing to the Huntly theater, it speaks for itself. The Perthshire Colts/Celts, who share the red stag head of Hulse's, were not far off. Of some interest is that Hunt-like Hounds/Houns may have named TolquHOUN, perhaps to Touques-river liner, for Conteville is off the Touques. See map of Normandy. Hants share a blue chevron with Five's (Aberdeenshire), from Fyvie of Formartine, to the near-east of Tarves and Huntly. "It is thought that the name Fyvie is derived from Fia-chein 'Deer hill'" If that seems unreasonable to you, note that while "Ragusa" is falsely said to derive in "deer," the Five/Fyvie chevron is in the blue-on-gold colors of the Arms of Saraka. Saraca's are expected exactly with Carricks. Five's share the red lion of Fife's, and Veys/Vivians (same chevron as Five's), part of the Morgan le Fay entity that traces to Morges, near LAUSanne, a place that was recently linked rather well to the Laus(a) name of Ragusa. Arbuthnotts use "Laus Deo" as their entire motto, while Arbuthnotts are said to be the associated of "tout"using Oliphants while Fife's use "VirTUTE" while the Elaphiti islands are smack beside Ragusa. Let's not forget that Hazel liners are suspect with HASmoneans and therefore with Akmonia, where the Bernice motto traces i.e. to Severus Bassus. The Ottone's of Umbria can trace to Cumberland, you see, and the Burns use a chevron in colors reversed to the Ottone perchevron, and in the blue color of the Five / Vivian chevron. If you were on a ship from Burnum out to sea, you'd come out to Issa/Vis. And by the way, Burnum is beside Scardona, like "Scarbantia," the latter beside Azali. And Savaria, where the Bernice motto can trace, is near Scarbantia. In this picture, the hunting horns of Burns and Bernice's can trace to Huntly because Hants/Hands use the same chevron as Burns. As Burnum is on the Titius river, let's add that the red Five and Vivian Chiefs, with gold Shields underneath , is shared by Titus' while VISconti's can trace to VESpasian liners. The Titus Moor head is in the design and color of the Chappes Moor head so that Vespasian liners, which must trace to Peter Pollock, are thus traceable to Tarves and Huntly...near Rothes, home of Peter Pollock. Two Peter surnames have bends in Fyvie colors, suspect with the bend of Burn-like Bruno's. Fyvie is on the Ythan river along with Methlick, and then Methleys/Mettleys look like tiger-using Medleys. As the Ythan river flows toward the city of Aberdeen, while LESlie's were first found in Aberdeenshire, what about that MYTILene (and Methymna) location on LESbos? Methlick is said to have been held by Ilbert of Lacy, and Lacys share purple lions with Vivians. Why do Buchans share the black-on-white lion with Middle's/Mittels? Compare Methleys and Medleys to Foggs and trace to Foca, on-shore from Lesbos. The Phocaeans of Foca had been the known founders of Ligurians at LACYdon. Let's not be ninnies. We thus have a trace of Lydians all the way to Formartine. If they migrated fast, they may have retained some Latin language. The Methlick article speaks on a chapel desired in that place by a lord Sinclair, but then speaks on Holy Rood chapel instead. I read that Holy Rood was built by David I for his mother, Margaret, who came from Hungary with the first Leslie's. The latter were granted land in Aberdeenshire by Margaret's husband, when the first-known Leslie married that king's sister. Lydians are suspect with such surnames as Leaders and Ladds/Ladons, and these are linkable to the scallops of Edens, the latter like the Ythan river. Edens are suspect at Edinburgh, some six miles from the Roslin location of Sinclairs. That allows Eden liners to name the Ythan river. Ethans are listed with Eatons (same place as Hulse's), who share a Coat like the Latins but, in any case, use the quarter colors of Chives' and GLENdennings. It looks like Eatons named the Ythan. Keep in mind here that the purple lion traces to the Meschin-Skipton relationships while Ladds and Leaders are suspect with the Meschin scallops. Dennings, first found in the same place as Skiptons, yet said to be from Argyll and Bute (where Massey-related Vivians trace), are using the Carrick dancette, logical because Carricks were first found in Ayrshire, overlooking Argyll and Bute. The big story: the Glendenning Crest shares a sleeve at the tip of a sword with Farrs/Phares'. This jibes with an Issa trace to the Formartine area. The Glennys, recall, are said to be from Aberdeen's Braemar (Dee river), suspect with Temple Brae in the Buchan area. "Braemar Castle is situated near the village of Braemar in Aberdeenshire, Scotland. It is a possession of the chief of Clan Farquharson..." Forkers/Farquhars were first found in the same place as Carricks. FarQUHARsons are suspect with KilconQUHARs, and one can see how the former were Farr/Phares liners. Farquharsons (fir tree) are apparently using the Fyvie / Fife lion and the Fife / Glenny Chief. Let's not forget in all this that Glenn liners are suspect from Gaulonites of Israel, from Gamala, while Medleys use double-bars gemel. Monmouths use gemel while Huntlys were first found in Monmouthshire. Sutys (HULL of a ship) share a "have" term with Glendennings. With Seatons being of the same general area as Sinclairs, I'd say that Glendennings are using a version of the Sinclair cross. The Adam surname is very traceable to Adam Kilconquhar: "An important garrison after the 1745 Jacobite uprising, Braemar Castle had been attacked and burned by John Farquharson...Rebuilding started under the command of John Adam, Master Mason to the Board of Ordnance." Adams were first found in Dumfries, where the Glendennings are traced in their write-up. Freemasons disguised themselves as Christians yet built ungodly chapels, such as the eerie Rosslyn Chapel. They use "God" and "Christ" in their mottoes but viewed Christ as some sort of satanic personality. Beside's, these Christian themes in their mottoes were only for code purposes. Sinclairs use "Commit thy works to God," yet the Commit term is for the Comites'/Conte's. Works/Werks are in Sinclair colors, and use more double fesse bars. Glendennings use "Have faith in Christ," yet Faiths are using the engrailed Sinclair cross as a saltire. The Glennings/Gillions (gyronny) are using the pierced Methley / Medley stars, and translate their motto with "courageous," like the "Courage" motto of Comyns. Cuminestown is near Buchan while Works/Werks share the black-on-white lion of Buchans, suggesting that Werks were Berks/Burghs, from the Burgo > Conteville family of Comyns that married Sinclairs. The "aniMOSUS" motto term of Glennings/Gillions suggests the Moses surname, the Cuppae line...through the Colapis, location of Glina. The Gillion variation is found in the Gellone list of surnames. Let's assume that Gillions were Julians/Gillians. Let's assume that Julians trace to Aberdeenshire / Perthshire because Pilate's father was a Julian liner. Let's recall the Brae's/Brays sharing the eagle talons with Augusts, for it was Augustus, adopted as a son by Julius Caesar, who reportedly sent Pilate's father to Methlick-like Metellanus in Perthshire. Braemar (same river as Methlick) is closer to Perthshire. Braemar is beside Crathie, like the Cra(i)th surname linkable to Rome's/Rooms (Dumfries) sharing the August / Crath fesse. The Crath write-up traces to Fraser kin, and Frasers, now suspect from Pharia, are said to have witnessed a charter from an Oliphard family (listed with Oliphants). The Fraser Crest is a red stag head, like that of Colts/Cults, and the reported link of Frasers to Keiths makes the Keith stag head apply. As the Elaphiti islands are beside deer-depicted Ragusa, perhaps the heraldic deer evolved into the stag for the purpose of honoring Stagg lines. I didn't know until now that the Staggs use a symbol (patee cross) between the antlers, that theme suspect with the Perdrix-Oeillon peaks at Mont Pilat, nor did I know when writing the sentence above that the Stagg chevron is in the colors of the fesse in the Arms of Saraca. Like the Hanna stag, the Stagg stag head is blue. Hanna's traced to the Tarves surname, and the Vyvie location next to Tarves is of the Vyvie's sharing the same chevron as Staggs. Recalling the idea that "PerdRIX" was partially a Ricks/Rix entity, what about the Raggs/Ragges' (colors reversed to the Arms of Saraka), suspect with "Ragusa." Was Perdrix a Ragusa liner? Was Pilate born of a Ragusa liner? The other peak became suspect with Gellone's and therefore with Glenny liners, and then heraldry has a ragully symbol that can be for Raggs and Julian-liner Gullys together. But where is the white-on-blue Saraca fish in all this? For one, it's in the middle of the white-on-blue fleur-de-lys of Raggs/Ragges'. But it can also be in the blue-on-white fish of Sees'/Sea's/Seighs, likely from Sees, in Exmes, said to be founded by Sagii Gauls. The Sees'/Seige write-up says that the fish is a salmon due to the family's fish farm, but Sees is not near the ocean. Aren't salmon ocean creatures? A few weeks ago, "EXMes" was considered for a trace to "Akmonia," especially as OPENheims can trace to Heimes in the Sees theater, but I didn't have the time to look at the Sees article, and here I find that the Sagii can trace to the TectoSAGII of Amyntes, whose daughter married Artemidoros, son of another Amyntes of the Trocmi Gauls. Artemidoros was the grandfather of Severus in Akmonia, and I traced the Amyntes surname to Mynetts ("OPEN helmets")...first found in the same place (Kent) as the Sees/Seigh surname. How about that. Amyntes' father was on the Sakarya river, suspect with the Sage's/Sagers, Seagers, etc., and the Pessinus location of that same father was suspect with the Pesci's, using a fish in colors reversed from the Sees/Seigh fish. How about that. Perhaps the SAKARya was founded as a consonant-reversal of some SARACa bloodline. Sees is not the same place as Say, apparently, which I assume is Sai (a little north of Sees). The Sees' use flaunches, though I don't know if I've ever deciphered that term correctly. Two other surnames with flaunches are Wolfleys and Hobbits/Hobarts Sees'/Seighs use a heart enflamed (Seatons from Say were Flemings), and Sagans/Segans, suspect with Segni's/Segurana's, use a salamander in flames. I GET IT! Two things: 1) the salaMANDER is code for Manders using a motto, "LAUS Deo"!, and, 2) the ends of the moline cross of Segni's/Segurana's (Sees fish colors) and Seagars (Saraca-fish colors) are fish tails secretly! NOT ANY MORE. Hahaha, that is one good clue when tracing moline users, such as Mathis' and related Chives! The reason that a flory cross looks like a moline is that the fleur-de-lys ends of the flory cross trace to the development of the fleur-de-LYS from the Laus fish. It also means that Saraka fish liners trace to the Moline/Moulins surname, a branch from Fulbert "the tanner" of Falaise. Falaise is, after all, near Say and Sees. See map. As the tops of Rooks are like the ends of molines, it means that Rooks, Rookbys and others using the rook are Saraca-fish / Ragusa liners. Rooks are strongly suspect, along with "Falaise," with RoqueFEUILs > Rockefellers. See the white-on-blue Roque's (same place as Roquefeuil) and Fallis' (share the Feller trefoils), then compare the Fellers with the fish-using Verona's. Fallis' share the white-on-blue lion with Douglas-suspect James'. Arbuthnotts use the Moray stars, as do heart-using Douglas' that share the salamander in flames. Therefore, the Douglas heart is tracing to the Sees heart. I'm having a problem agreeing with the trace of "Sees/Seez" to "Sagii," even though it may be true that Sagii lived at Sees. As Julians/Gillions share the salamander in flames, while James' share the dolphin with the Caesar/Sesar surname, first found in the same place as Sees', it strikes me that "Sees/Seez" is short for "CAESar." Was "Caesar" a softened form of "Sakarya"? Or, Sakarya elements may have become softened to "Seez" aside from a Sakarya line to "Caesar." Douglas' share a crown with German Kaisers, but English Kaiser/Kessers show no Coat. Chessers are listed with Cheshire's that can be linked by two methods to Quints, speaking of a Caesar-Caepio line if indeed Cheshire's were Caesar liners. I became convinced totally, thanks to clues from Gullys, that Julians were from Guillestre, south of Savoy, near Seez of Savoy. The Caser surname (French Cesar/Sidone colors) was just found, but showing no other Caesar-like terms. As it uses three fesses (nebuly) in the colors of the Cassius/Cassano fesse, the Casassa/Casino variations of Casers suggest a link between the two. Interesting here is that while Cassius/Cassano's were first found in Modane, Modena is very near Seez of Savoy. The Casseli-and-similar variations of Casers/Casino's can explain why Cassels share the dolphin with Caesars. Perhaps the reason that Junia Caepionis Tertia married a Cassius family is that she was Caesar's daughter. The fact that her husband assassinated Caesar doesn't necessarily mean that he or she wasn't family; quite to the contrary with dragons. This is very interesting because Caesars were first found in the same place as Massins, suspect with Cilnius Maecenas, whom I picture involved with Modi'in's Maccabees. The Massa's/Masseys use a "tree with no leaves" (no tree species), and the Italian Cesars use just a "tree" (no species). This Massey-Caesar relationship becomes apparent below in a big way. Heraldry is a Norman-English product so that, where Norman surnames got to Italy, their codes are not to be reckoned in the Italian language. That is, the Cesar and Massa trees may not be code for Alba's, but for the Tree/Trough surname, which happens to share bendlets without a bend with Ince's / Inch's. As the latter are suspect with Insubres', founders of Milan, note that Tree-using Cesars are said to be from Messina while Casers/Casino's are said to be from Milan while Milans were fist found in Messina. This makes the Keys/Kays suspect with "Sees," for Keys/Kays (definitely related to the True's bendlets) use HUMEttee bendlets without a bend. English Keys/Keyes' have a perchevron in colors reversed from the same of OpenHEIMs, and them Hume's/Home's honor the True's/Tree's in their motto. No coincidences, we can safely assume, and Openheims trace to the Amyntes line suspect with the birth of Caiaphas. The latter Keys use "A deer on a mountain" for as potential trace to Ragusa's deer symbol, how about that. Keys (same place as Skiptons) had been traced tentatively to "Kaisariya," an old version of Caesarea (Cappadocia), a city that was previously, Mazaca. It could be that Caesar chose that city to bear his name because he was a Mazaca liner. There was another Caesarea in Numidia, home of king-Massena liners. One can start to glean that the Massena-Scipio merger produced, not just Maccabees, but a line through Julius Caesar, explaining Julius Bassianus, father of Julia Maesa. The Sees location of Normandy is near the Dives river while Masci-liner Meschins ruled Diva, renamed, Chester, and moreover Chester is in Caesar-suspect Cheshire. The Cheshire surname, sharing the lion paw with Quints, was first found in the same place as Quints, and Masseys / Meschins had traced to the Caepio treasure aside from those considerations. The Inch's/Ince's of Cheshire are said to be from a Wigan area (neighboring Lancashire, on Douglas river), and Wigans (recently became Quintus-Caepio suspects) are using what looks like a version of the Annas Coat. The Julian-Massena line is suspect in the birth of Caiaphas, who married Annas' daughter. The Cheshire Inch's are said to be from Makerfield in Wigan, traced Makers/Macks (same place as Hume's) use a version of the sinister-rising Masci / Massena bend, but with the Julian stars. The area of the Inch's was otherwise Newton-in-Makerfield, later Newton-le-Willows, and then Willows share the fretty Shield in colors reversed from the same of Modens/Modeys. This reflects back on the Cassius'/Cassano's (Willow colors) of Modena and the Caser variation of Casino's. In the article of Gaius Cassius Longinus, husband of Junia Caepionis, she is called, "Junia Tertia (Tertulla)", and then Turtle's/Tuttle's/Toothills were first found in the same place as Quints, fancy that. The Turtle/Tuttle Crest is a black leopard, linkable both to the Chives Crest and the black lion paw of Quints. The Turtle/Tuttle chevron is that also of Fyvie's, Vivians, and Staggs. The Turtle crescents are in the colors of the Falcon crescents, making Turtle's suspect with Tertullus, the supposed grandfather of the first Fulk of Anjou. But as Tertullus is considered mythical by some, might he have been code for Junia's Tertulla surname??? The other Toothill surname (BLACK LION!) was first found in the same place (Cambridgeshire) as Julians and Capone's!!! Now that is compelling. Modane is near Brigantium, and then "Wigan during classical antiquity was in the territory of the Brigantes, an ancient Celtic tribe that ruled much of northern England." Brigantium is between Modane and Guillestre. And, by the way, the Cotta's use fretty too, for another way to trace Julians to Willows, but the point is that the Cottian capital, SEGUSia/Susa, can be another Sagii entity, same as Caesar-suspect Sees. Again, there is another Seez location in Savoy very near Modane. And Susa (of Piedmont) is directly over the Cottian mountains from Seez and Modane. These traces often amaze me. I just go where they lead, never knowing much of what's next, and here I'm learning something. Let's not forget the "HANKS of cotton" (Italian Naso's), for Inch's/Hinchs can be a Hank branch, especially as HINKS (Annandale Coat as used by Bruce's) were first found in the same place (Berkshire) as Modens. Note the wings in the Wigan and Hink Crests, for Windsors/WINCers (Berkshire) were deciphered as Wing/WINK liners. The Arms of Seez (Savoy) use a cross in Hink-saltire colors, and Winklers/Windle's (Cheshire) show a cross in colors reversed from the Newton saltire. The Arms of Seez appear to use billets, symbol of pile-using Wings/Winks (Perthshire, same place as the other Ince's, and of Pilate liners), who moreover share the black Julian cross. It looks like Winks are Ince's, especially as the Wink pile is red, colors of the Key perchevron. Dutch Winklers use the Shield-and-Chief color combination of the Arms of VENDome/VINDicium, a term like "WINDsor, how about that. Vendome is where Fortings were from, suspect with the birth of Pontius Pilate. Willows are suspect with the Pillow variation of Pilotte's (Lincolnshire, same place as Willows and Hanks). Supers/Sobers, suspect with Ince's from Insubres, use white/silver billets, the color of the Seez billets. We saw billets and Billets tracing to Mont Pilat liners. Seez is near Annecy and SEYSsel. Recall the Oeillon peak at Mont Pilat, how it brought up Gallen-like and the Whelan surname. "The Seeztal is a valley of the canton of St. Gallen, Switzerland, extending to the east of Lake Walen for some 10 km, formed by the Seez river...Situated in the Seeztal are the municipalities of Walenstadt (425 m), Flums (453 m) and Mels (500 m). This Seez river is not at Seez of Savoy, however. Note how the fasces in the Arms of St. Gallen reflect the Newton saltire. The St-Gallen saltire is in the colors of the Valentin squirrels while a fasces is the symbol of Assi's, kin of Justine's, the latter first found in Perthshire i.e. same as Wings/Winks. As Winklers/Windlers use a cross in the colors of the St-Gallen saltire, the Justine's appear to be using the German Winkler / Vincent Shield, important because Valentins were first found in VICENza, perhaps the line to WIGENs at Newton-le-Willows. The Newton SHIN bones can be code for Skins/Skene's (Aberdeenshire) sharing the sword with Assi's and Justine's. For new readers, emperor Valentinian I was married to Justine. Recall Moses' head in profile, and the Scotts head, for that head now seems to be facing the viewer in the Willow Crest, called a "Saracen's head." Willows call their fretty, a trellis, and it just so happens that Trells/TRUElls/TROWells (just trefoils), suspect with the Tree's/True's/Trows, were first found in the same place (Nottinghamshire) as Annas'! I didn't know that was coming. We just saw Willows of Wigan tracing to Annas'. Hanks/Anke's are actually suspect with Annas lines, making Insubres suspect as Annas liners. It's not far-fetched. Nottingham is important here if correct what they say, that it was named after Cnut, son of Sigrid the HAUGHTy, daughter of Mieszko I of Poland. The Keys use a white griffin head traceable with the same of Dobers / Dobermans to Dobrawa, wife of Mieszko I. HAUGHTs use the Beak Coat in colors reversed, and then the Key griffin has a key in it's beak. Danish Cnuts use "pot HANGers." The Hangars are listed with Angars, suspect from Anjou, where the Turtle's / Toothills trace, I think. The Di Sidone variation of French Cesars is peculiar, but evokes the German Julians with crescents in colors reversed from the Seaton/Sitten crescents. Julians and Seatons were both Flemings, apparently. Some non-English webpages have a Quintus TILurius Sabinus, but English pages have him as TITurius Sabinus, which may be explained where the Titus river is beside the Tilurius. Quintus Titurius Sabinus was one of Caesar's legates during the Gallic Wars. He is first mentioned in Caesar's campaign against the Remi, in 57 BC. In 56 BC, he was sent by Caesar with three legions against the Venelli, Curiosolitae, and Lexovii (in Normandy), who were led by Viridovix.. In 54 BC he and Lucius AurunCULEIUS Cotta were stationed for the winter in the territory of the Eburones with a legion and five cohorts. They had not been more than fifteen days in the country before they were attacked by Ambiorix and Cativolcus. Sabinus, showing less resolve than Cotta and trusting himself under Ambiorix's guise of truce and safe passage, evacuated the camp under threat of German attack. As a result, he was massacred along with Cotta and all their troops." If I recall correctly, an culeius-like term means "uncle," and so, as Caesar's mother was Aurelia Cotta, Aurunculeuis Cotta may have been Caesar's uncle (or Aurelia's brother). As Quintus Caepio was at war with BOIORIX the year after Quintus stole a vast treasure, note that Titurius was attacked by AmBIORIX. My suspicion is that Caesar had gained some of Caepio's treasure as per Caesar's affair with Caepio's granddaughter (mother of the Junia Caepio's), in which case Caesar may have sent his uncle to retrieve whatever treasure Boiorix had taken back in his victory against Caepio. For all we know, Caesar's campaigns in Britain may have been for seeking this treasure. Titurius' Sabinus surname can be that of the Savona's/Sabine's, who use the red bull of Daggers/Dackers and share the red scallop of Pulleys i.e. from Pelva smack beside the Tilurious river. That looks like the Dexaroi-Tilurius alliance that was traced earlier to the Insubres link to the Ticino. Another surname with red scallops is the Tancreds (same place as Pulleys), suspect earlier with the chevron with Sole's/Solneys that cropped up as per the Solons from Salviae, near the Titus river (Maezaei theater). As Tancreds were Tankerville's, from TANERdevilla, the Shield-and-Chief color combination of Savona's/Sabine's is now disclosed as that of Tanners, and as I trace the stars in the Savona Chief to those of Polesdons, it drags the latter to the Pelva-liner category. But why should the Tilurius / Titus area trace to Sabine's? And is there some deep-rooted reason that proto-Guiscards were linking to the Maezaei theater. Apparently, yes, for Tancreds were in Manche, same as Masseys. This would be a good place to repeat that Scardona, at the mouth of the Titus, was traced to Scarfs, who trace to Carricks elements, and were first found in the same place as Pulleys and Tancreds. It makes sense where Carracalla's niece was a Maesa. But while we are on the Quintus Titurius topic, we might want to know why the Titus surname uses the Moor head design of Chappes, and why Tanners use the Moor head too. The great-grandfather of emperor Titus was from Rieti at the east side of mount Sabina, wherefore the emperor is suspect from the family of Quintus Titurius Sabinus. And it just so happens that Ambiorix was the king of an EBURones people that can trace to Abruzzo elements along with Eburovices/Ebroicum, the latter suspect as co-founders of Eboracum = York. This topic can even link to the book of Revelation in three ways. The family of Titus is suspect by me as the wounded head of the beast that is revived in the end times. The Titus-river area is suspect from Patmos, and thirdly, Titurius was at war with the Rani, which a few weeks ago were shown to be good candidates for being of the four horsemen in Revelation 6. Titus was engaged to Berenice Agrippa now tracing to Burnum on the Titus river. The article on Junia Tertulla's husband says that the couple had one son around 60 BC. Cassius was a military leader in Syria and Egypt, the stretch of territory where one would expect Caiaphas to arise. The son is not mentioned either by name or by deeds. If Junia named him, wouldn't we like to know the name? He may have been born early enough to be Caiaphas' grandfather. Note that the Toothill bend is in the colors of the Pulley bend while both use bendlets besides, and then the Pulley martlets are those of Josephs. Both surnames are said to have "COTIsed" bendlets, code, I assume, for the Cotta line of Caesar. The Pulley pelican was suspect with one of two two Mr. Pulchers: 1) Publius Pulcher, the reported grandson of Quintus Caepio the elder (the one who got the Toulouse treasure); 2) Appius Pulcher, adopted by a member of the very Junius family that Junia Tertulla's mother married. Here are the Toothill descriptions: Coat: "Blue [Shield] a black lion passant, armed and langued red on a silver bend cotised gold. Crest: "A cornish chough [raven] on a mound, with a branch in its mouth." Every possible code needs to be considered and hopefully understood. If "passant" is a code partly for the Passe/Pascal surname, note that it uses the Levi lion. When you see the reason for linking Toothills to Rollo's, note the latter's "passe" motto term. Arrecina Tertulla...came from obscure origins and her family were of Equestrian rank. Her cognomen Tertulla, is a nickname for the female cognomen Tertia. Tertia in Latin means "the third daughter". A Roman woman who was nicknamed as "Tertulla" was Junia Tertia, a half-sister of Roman Republican Politician Marcus Junius Brutus. There is a possibility that Tertulla would be related to the paternal side of Vespasian. Vespasian's paternal grandmother bore the cognomen Tertulla. While her father can be suspect at the root of the Clements, we don't know for sure who her mother was. Was she a Caepio? Note that Clement-suspect Hoppers share gyronny with Titus'. The Hoppers may be sharing the Hill tower, which asks whether Hills are in "TootHILL." As Clements list a Clermonts surname while Clements share the Clair Chief with besants, note that Clairs were first found in the same place (Limousin, near to and related Saintes) as SECONDS/Segurs. Plus, Sinclairs are listed as Saints while "pasSANT" may be double code for Saint liners. Saintes was named by the SANTones Gauls. Sands and Sanders are suspect. The Tertulla in Vespasian's ancestry was mother to Sabinus (Vespasian's father), and so do note that while Savona's/Sabine's share the PULLEY/Pullen scallop, Vespasia POLLA was Sabinus' wife. Wikipedia apparently has no article on this Tertulla Flavius Petronius, meaning that her details may be unknown, though the article at the link above gives her a Tertullus of Rome as father. But it very much appears that Toothills trace to Vespasian's family. Wikipedia has an article on a first-century Tertullus: "Tertullus married an unnamed Roman woman from this marriage had a son of the same name and a daughter called Julia Tertulla." This Tortullus had a CORNutus surname, suspect with the Cornish chough of Toothills. While Langs (as per the langued code) are suspect as a branch of Alans/Alengs. Langhe of Cuneo is the location (roughly, anyway) of Monforte. Simon de Montfort (Normandy) carried on the Leicester titles of the Robert Beaumonts. 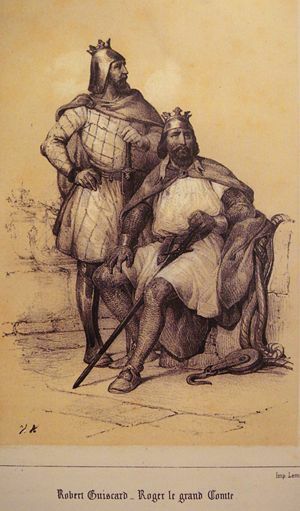 The first Robert had a daughter who married Montfort, and the second Robert himself married a Montfort. Why? The third Robert Beaumont had a daughter who married Simon de Montfort...and this Simon, by the way, died in a siege of Toulouse, which can explain why Tools and Montforts both use white-on-red lions. If Montforts were Alans of Langhe, it would make TOULouse suspect with "Dol," and then I just read that the grandfather of the first Robert Beaumont was a Welan bloodline, while Dols use a whale. This goes off-course a little from Toothills, but may prove worthwhile. As we saw that Whelans/Failins were a branch of Fallis' (share a white, upright lion with Montforts), note that while Moline's/Moulins were a branch of "the tanner" of Falaise, the first Robert Beaumont was a ruler of Meulan. The Arms of Meulan use gold-and-red chequey, symbol of one Vaux/Vallibus surname that, I read, was a branch of Wells (share two-tailed lion with Montforts). It doesn't necessarily mean that "Vaux" was a variation of "Well." Thanks to an emailer with Tuttle bloodline (many years ago), I was led to investigate Toothills, and Bec (same place as Toulouse). I learned that Wells' ruled Bec, and, by the way, the German Well surname has the same giant pelican (different colors) as the Devauds/DeVAUX's/Deveaults (thanks to FE for that surname), tending to clinch a Wells link to Vallibus'. There are two immediate points, one being the trace of "the tanner" to the Tanaro river, the Langhe / Monforte theater. The second point is a question as to whether Vaux's were Fulks. Perhaps not, but if they were, then it recalls that TURTLE's/Tuttle's/Toothills (share the Falcon / Conte crescents) are now tracing to the quasi-mythical patriarch, TERTULlus, of the Fulks. It just so happens that the father of Tertullus was reported as Torquatus (may have been purely mythical), whom I traced years ago to the ancestry of the Robert Beaumonts. That is, Roger Beaumont, father of the first Robert, was a son of Humphrey de Vielles of Harcourt. Although "Vielles" is said to mean "old," doesn't it rather seem to be the Wells / Vallibus'?? Dutch Devaux's/Tiviots//Divoorts look like Teviot=Tweed liners, from the Tweed river through Peebles-shire and ending at Berwick. The Teviot river just became suspect, for the first time in this update, with the Dives river. The Dives' were first found in the same place as Toothills/Totehills and Capone's (beside the Capes'), and later in this update, a fascinating find with the Tottens who share the dancette in half the colors of the Dives dancette. It just so happens that Dives are using the Capes scallops! The Toothills were Caepionis liners, right? Toot-toot this from the rooftops. The Annan-suspect Tweeds (share the Say bull head) are Twitt-like while Twitts/Tweats (Dien/Dives colors) are listed with Thwaite's suspect with Satters/Satterthwaite's. Back in the 5th update of March, 2012, I was linking the Beaumont Coat to the Bone's/Bohuns, and the latter just happen to use the same bend as Toothills. As Bohuns signal Bohemians, there can be no coincidence, for the two-tailed lion of Montforts is in the Arms of Bohemia. In October of 2010, I was sharing that Torf of Torville (Torcy) gave birth to TURCHEtil, ancestor of Harcourts, and I guessed that mythical Torquatus was of this family. It was just a guess, but I have since found nothing better to trace Fulk ancestry to. I now find myself tracing Junia Caepionis Tertia to the fathers of the Fulks. The Turtle/Toothill crescents, by the way, are white, the colors of the Beaumont crescents. In that October update (the 7th), this was quoted: "'By Louis II, Ingelger was appointed viscount of Orleans...'"" Ingelger was the father of the first Fulk. It just so happens that the Orells and the Orleans surnames use TORTeaux. The only problem here is that there is not definite evidence that either Toothill surname links to Simon de Montfort or the Beaumonts. That's not to say that there's no possible evidence. I am feeling very comfortable that this new discovert on Toothills leads back to Junia Tertia. As this discussion continues, we can weigh the natural-occurring items to discern whether they trace to the Tertullus of the Fulks only, or to both he and Junia Tertulla. For example, Torcys were first found in the same place as Primo's/Primeau's, and their mirror is code for Mire's/Mireux's, first found in Anjou. That makes Tertullus of the Fulks suspect with someone like Junia Prima, does it not? It was recently pointed out (including last update) that the green-on-white Primo roses link to the green-on-white cinquefoils of Loges, that being the bloodline of Fulk II of Anjou. Here is a repeat from the last update when I didn't know that "Tertia" was also "Tertulla": "Tertullus may be part-code for Junia Tertia just because Primo's are suspect with Junia Prima. [Remember Tertullus when we get to the Sittaceni-suspect Turtons/Treetons.] One of the multiple Torcy locations in France is in Pas de Calais, where Quince's trace and where the Clausula-suspect Clauters had a Clety location. This Torcy is very near a Merovingian city, QUENTovic. That's where Saer de Quincy should trace..." Having said that, see the Gunn ship in the Dorrick/Darrick Coat, for that surname was looked up as per "Torcy." It surprised me recently to see Gunns tracing to Gunnora de Crepon, and it just so happens that Fulk II is said to be the father of her father, Herfast de Crepon. We then read: "All that is known of Gunnora's parentage is that she belonged to a family who had settled in the Pays de Caux. Robert of Torigni [like "Torcy"] wrote she was a forester's daughter from the Pays de Caux and according to Dudo of Saint-QUENTin she was of noble Danish origin. " Harcourts were Danes too. The Dorricks/Darrick Coat even shares the Moor with French Chappes' while being first found in the same place as Scottish Chappes'. No guff. "Gunnora / Gunn" can be suspect with the GONfanon banner, a heraldic device owned by Montforts. Caux is beside the Bray river, and is part of the Le Havre area now tracing to Hvar = Pharia, where proto-Pharisees are highly suspect. Shuttle liners, expected on the Bray river, would be suspect with Sadducee liners. But Caux is also the area wherein Yvetot is located, a Teviot-like term. Aha! The Arms of Yvetot even use weaver's shuttle's!!! "Gules, 2 garbs (sheaves of wheat) and 2 shuttles crossed in saltire Or." How about that. I didn't know it when writing the second sentence of this paragraph. Shuttleworths are the ones with the weaver's shuttle now tracing with Weavers to the Tanaro theater. But Weavers are the ones who made Tanaro / Cortemilia elements trace well (last update) to Mesnieres-en-Bray (Brays use a weaver's shuttle). The Teviot-suspect Satterthwaite's use the Shield-and-Chief color combination of Tanners. The Dieppe location in the Caux theater is now suspect with Dives liners. Weavers were traceable with Dive-like Dawsons (Dieppe) to Hazel liners while Dawsons use a lodged stag suspect with the Lodge's/Loges' / Loches ancestry of Fulks and Herfast de Crepon. The water in the Dorrick/Darrick Coat gives the impression of the Dol Coat. The Gunn ship is that of Durants tracing to the Salyes Ligures in the ancestry of Merovingians, and this bears repeating that "Durante" and "Sale/Sallete" traces to the Turano and Salto rivers because "Torville / Torcy" can be Turano / Turin elements. This was the area of the Vespasian family. The "eradicated oak TREEs" in the Dorrick/Darrick Coat can go to Roet liners and the TURTons/Treetons." Durants are kin of Coughs/Cuffie's and Hoffs/Houghs, suspect in the cornish chough of Toothills and Cornells/Cornwalls. Cuffie's sure smack of "Caiaphas." The Hose's in the Hoff write-up share human legs with Prime's. Gunnora (duchess of Normandy) married the elite Rollo line, and Rollo's not only use "tout" in their motto, but are suspect with the chevron of the Valois/Valais Coat (because Rollo married Poppa of Valois). The Valois/Valais chevron-with-crescents is in use by Turtle's/Toothills (same place as Quints/Quentins). Note that Turtle's are erroneously traced to "Thor," likely code for Torville liners. The elephant trunks of Thors trace to Elaphiti, and then Oliphants use a "tout" motto term as well as the Tout/Toot crescent. We are learning something. It should be added that Cantons, honored by the Tout/Toot canton, use stars in the colors of the Annas star, in the colors of the Toots crescent, in the white color of the Toothill crescents, and suspect obviously with the Tatton crescents. It's notable that Tate's share a six-sectioned Shield with Catherine-wheel Wheelwrights (Mieszko suspects, and then, while Tattons were "of Massey," the Oliphant / Tatton / Toot crescents are used by Masseys/Massa's. As the Valois Chief could be the Caesar Chief, it's notable that Masseys/Massa's were first found in the same place as Seez. The Masseys/Massa's use a "TREE with no leaves, highly suspect with Treetons/Turtons...who happen to share a red canton with Toots! Where do we think "Valais" traces? The Walsers, known to be from Valais/Wallis canton (Switzerland), use a two-tailed Melusine mermaid, and it's her mirror that trace's with Primo's to Mire's of Anjou. The two tails may be indication of Montforts. The Wallis/Wallace surname happens to use the same lion (one tail) as Montforts. "Valais" is suspect with "Falaise," and then while the Conteville's (of Comyns) married Herleva of Falaise, the Dorrick/Darrick Moor holds a dagger, symbol of the Comyns. Now that the "sea" term is suspect for Sees, near Falaise, here's the Dorrick/Darrick description: "...a three MASTed ship proper, on the sea, between three oak trees eRADicated." As you can discover, the Mast(er) surname (Agrippa-suspect griffins) shares a rare motto term with Roets (THURINgia), who have a Roedl variation like the Radls / Redls of Rads. The "tueri" motto term of Masters was suspect with Tuareg Berbers (because Masters are likely king-Massena liners), and "Tuareg" is thus suspect with "Torcy." The Belgian Riddels use mallets for a trace with Mallets to Melita, beside the Elaphiti islands to which the Toots must trace with Oliphants. Besides, the Sanders use the elephant while the "passant" term of Toothills can be for Sands / Sanders. Although Catherine Roet was born in Picardy, near Torcy of Pas-de-Calais, Roets ruled in the interior (I can't recall just where), closer to St. Quentin. The Roets (said to be descended from Croys / Groys, I can't recall which) put forth the Beauforts (like "Beaumont") who use the same lion (one tail) as Montforts and Greys/Croys/Groys. A Mr. Chaucer married Catherine's sister, and then Chaucers use a TORTois, what a coincidence. The gold Grey anchor may be that of Hoopers and Fairs/Phares', the latter first found in the same place as Bernice's and Burns, and then it was Berenice AGRIPPa (suspect with "CREPon") who was from Chalker-like Chalchis (Syria), important where Chalkers are in Chaucer colors and first found in the same place. There is a question as to whether "Chaucer" was fashioned like "Caesar" because both were first found in Kent. Isn't Julius Caesar suspect as the father of at least one Junia Caepionis? As Chaucers share the same bend with Valentins, see the TEUTiburgium location smack beside Cibalae (birthplace of Valentinian). Neighboring Certissa is traceable with the Maezaei (at the Titius river of Burnum) to the Numidian capital. The Sibals (moline cross now tracing to the fish of Ragusa, beside the Elaphiti islands) were from Fife, where the mother of Saer de Quincy (mascles) was from. The Sauers are said to be named after the Sau/Sava river, location of Cibalae. The Quincy-related Winchesters can be gleaned with Quints, and share a blue lion with Certs/Cards. The Cert lion has TORTeaux on it's collar, and Collar(d)s use Moor heads. I was introduced to Tuareg Berbers by the same person who revealed to my readers that the Caepio line had a blue lion. The Cert-like Sirets are listed with Valentinian-related Sire's who likewise use a mirror. I've not emphasized before that Sirets should be from Certissa. There is a Sert surname (Annas star?) listed with Saire's/Sere's/Sears, like "Saer." Certissa may trace to Curtis' and, if so, possibly to Cortemilia. It's near Fossano while a Fosse location is on the map below (upper-left) upon the Sava not far downriver from the Certissa area. Curtis' share the dancette of Bude's/Buds, from Bude of Cornwall, not far from Badens/Battins (bottony liners) who trace to Baden of Germany, where Zahringers ruled who are suspect in the Sert-suspect Zerrs/Zehrers. The bottony cross is said to be of buttons or buds. It appears that Toothills can be from TeutiBURGium, perhaps a branch of Burgundians too, explaining why Torcys, mirror-using Primo's, and Messeys were first found in Burgundy. The impression is that Torquatus was code for a line of Tuareg Berbers, while his mythical son, Tertullus, was code for the line of Junia Caepio, whose Junius and Caepio ancestry traces to the Maezaei theater. The Tuaregs may have been in Italy in the wake of Massena's alliance with Scipio. Porcius Cato was involved with the north-African situation around 200 BC, the time of Massena, and Cato's are listed with Clan Chattan, which was out of Lucca, where Massars/Massai's (and Botters) were first found. Cato's/Chattans and Chatans (and Botters) both use the bend in the colors of the Toothill bend. The black lion on the Toothill bend is in the Crest of Mackesys/Margesons (Meschin colors, suspect with the Tailer lion), with the same design used by Mackeys/Margys who share the raven (Meshwesh symbol) with the Toothill Crest. This Mackesy Coat shares a coiled green snake with the Sirets/Sire's. Chaulkers use bars in the colors of the Crispin/Crippen bars. I almost missed it, but an hour after writing here, the Tottens were loaded to find a version of the Crispin bars (nine versus eight bars), and Tottens have a "sequor" motto term that must be for the Segurs/Segours who list a SECOND surname!!! That tends to clinch my tentative and even sketchy theory that Seconds and Primo's were from the Junia Caepio Prima and Junia Caepio Secunda. Irish Phares'/Fairs (moline cross) even use "VirTUTE TUTis" as a motto! Haha, the Caepio line is falling to the feet of the Melusine-Vere's of Anjou, the dragon-blood lovers. French Phares' are listed with Fers/Vairs (same bend as Chaucers), and were first found in the same place (Burgundy) as Primo's / Torcys, and moreover the Torcys show nothing but a gold-on-black bend, colors reversed from the Varn bend (same colors as GRIPP bend). The Varn bend has croziers while Croziers trace to Creuse, beside Auvergne, making the Phares moline suspect with the same-colored flory cross of Bouillons, from Pas-de-Calais i.e. location of Torcy. There was a Comines location (may not be the exact spelling) in the Pas-de-Calais theater. Crispins had been associated with Bec, perhaps a Pek-river liner and therefore a Cuppae liner. It just so happens that French Crepons/Crispins (Parez, in TOUL) use a bend in the colors of the Toothill bend. It struck me above that "Grey" could be a Crep term, in which case the "fast" motto term of Greys might just be for HerFAST de Crepon. Greys use a lion in the colors of the Tool lion. Creys were just looked up to find them of Burgundy, and sharing a passant black lion with Toothills! I had traced Grey to the mythical Graeae Amazons, and these were African Amazons, often called, Berbers. It's suggesting that Graeae Amazons were associated with Tuaregs, but then the Massena's had been primary Amazons. The "Ad" motto term of Tottens is suspect with the Aide's/Ade's, found in the Levi motto along with the blue-lion Chretiens. The CRESTien variation can go to the Crest surname listed with Creys. This should explain the Moor head of Chappes', first found in the same place as Levi's. But as Levi's are suspect from Laevi of the Ticino, note that Tuaregs had traced to nearby Turin. Cretiens are traced to a Neuf entity suspect with New liners, perhaps Numidians, but in any case the Laevi were at NOVara. The Crest/Crey bendy is in the colors of the bendy of Dulys'/Doley's (and the dukes of Alencon), first found in the same place (elephant-using Oxfordshire) as Crispins.